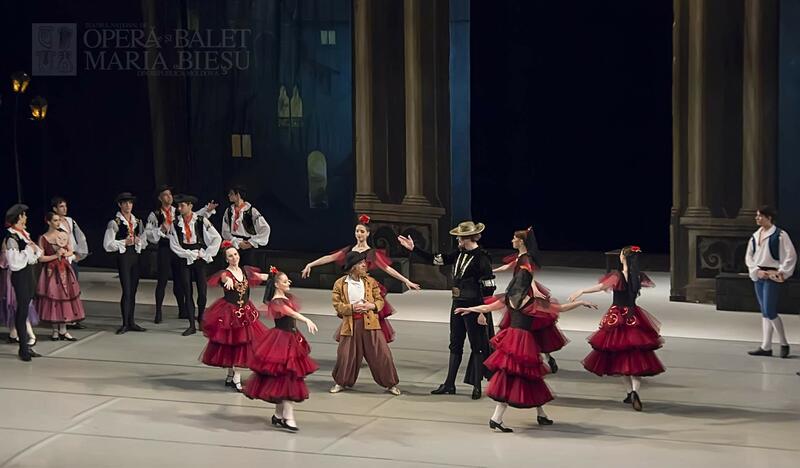 History of the National Ballet Choreography of the Republic of Moldova has got its roots and old traditions from the national dancing creation which had preserved the features of ancient Greek and Roman dances; it had felt the influence of the Balkan and Slavonian cultures as well. 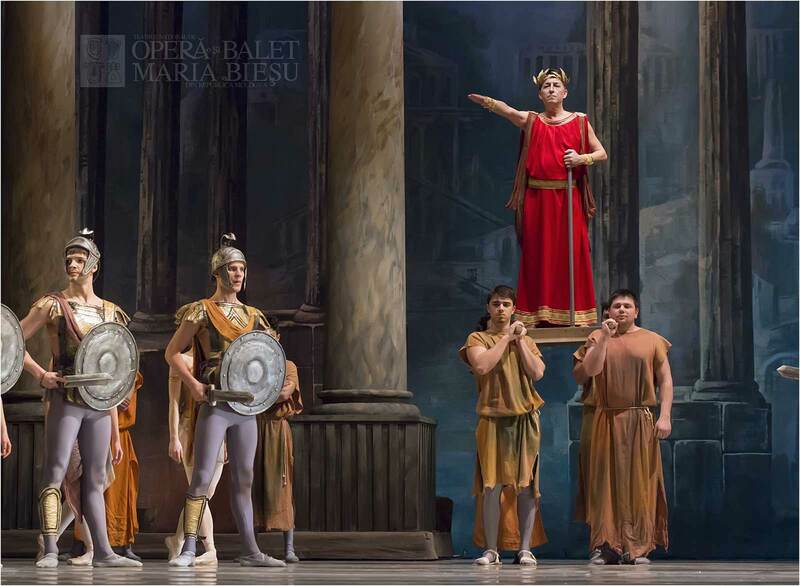 There was always a great interest in opera and ballet in the Republic of Moldova, but the possibility to create a professional theatre appeared only in 1957. 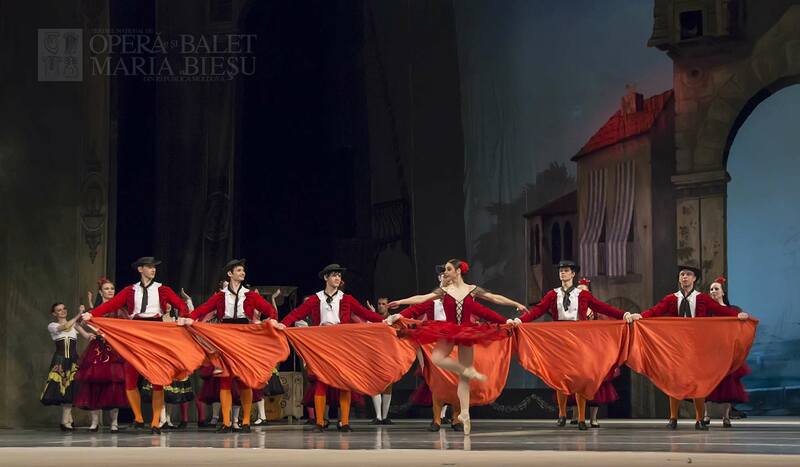 For this purpose, a Moldovan group of ballet dancers was taught in Leningrad, which graduated from the famous choreographic school after Vaganova returned to Chisinau and built the basis of the ballet group. 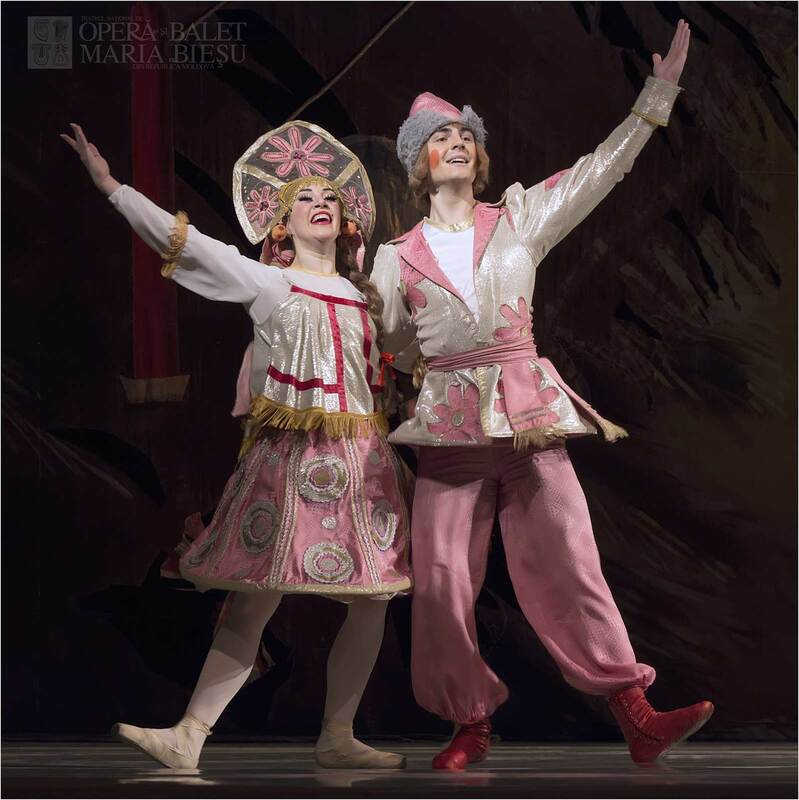 At the same time, the young ballet dancer Galina Melentieva and the experienced ballet dancer Pavel Fesenco were invited to Chisinau. 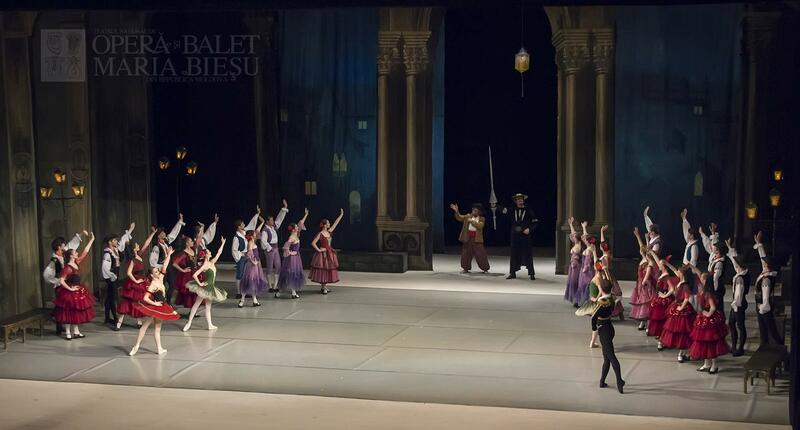 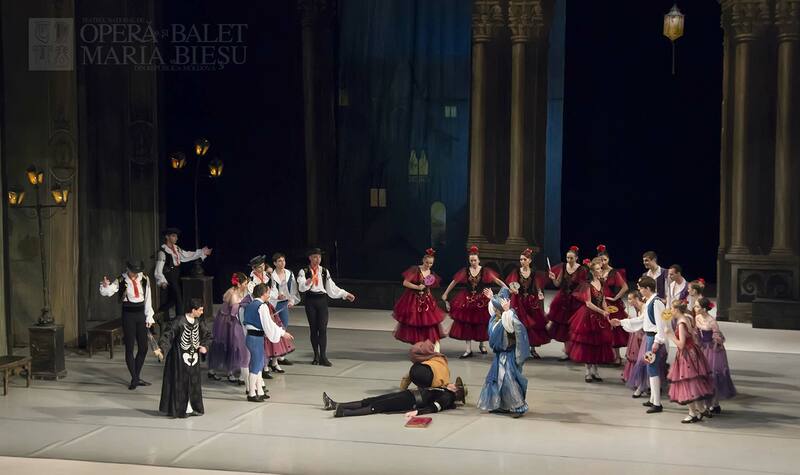 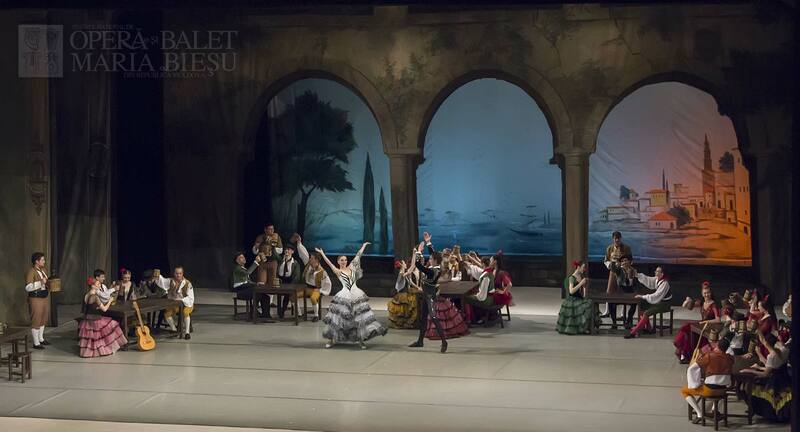 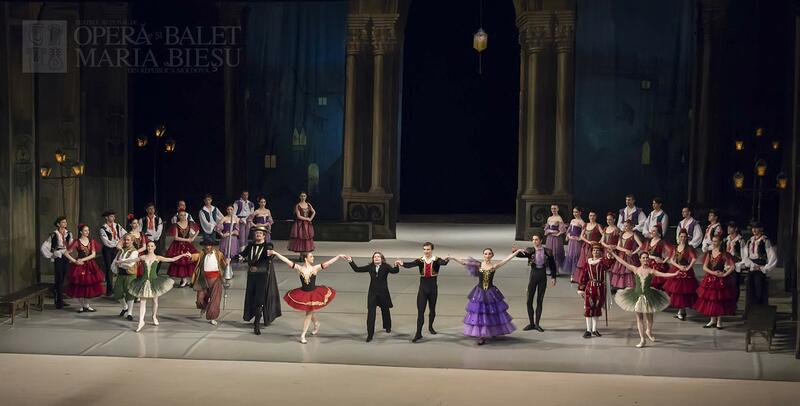 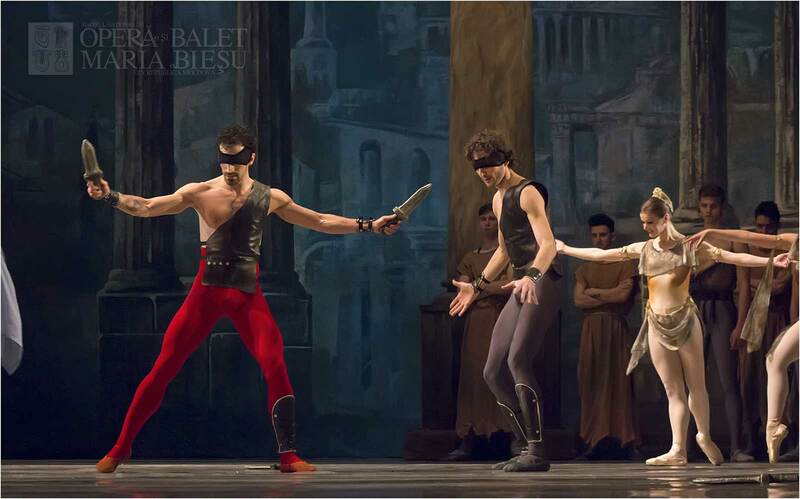 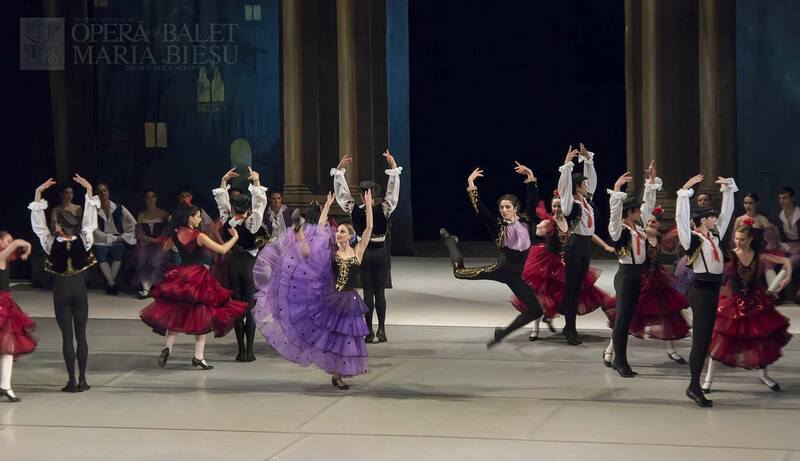 The first ballet performance was “The Fountain of Bakhchisarai” by B. Asafiev. 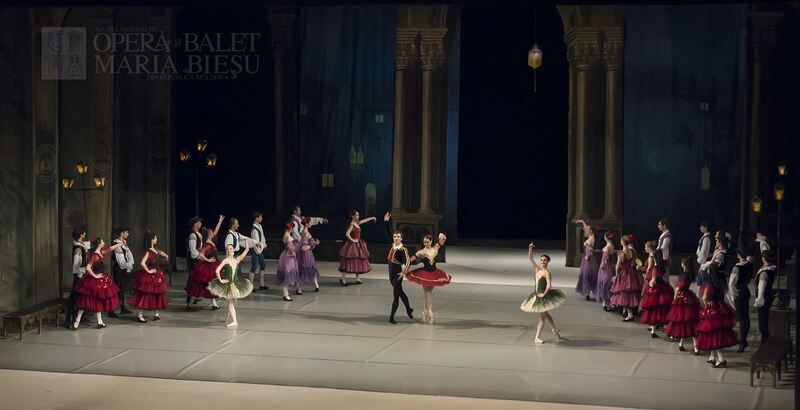 Soon after, the ballets “La fille mal gardee” by F.Herold, “Straussiana” by J.Strauss, “Swan Lake” by P.Tchaikovsky staged by L.Voskresenskaia appeared in the repertoire of the theatre. 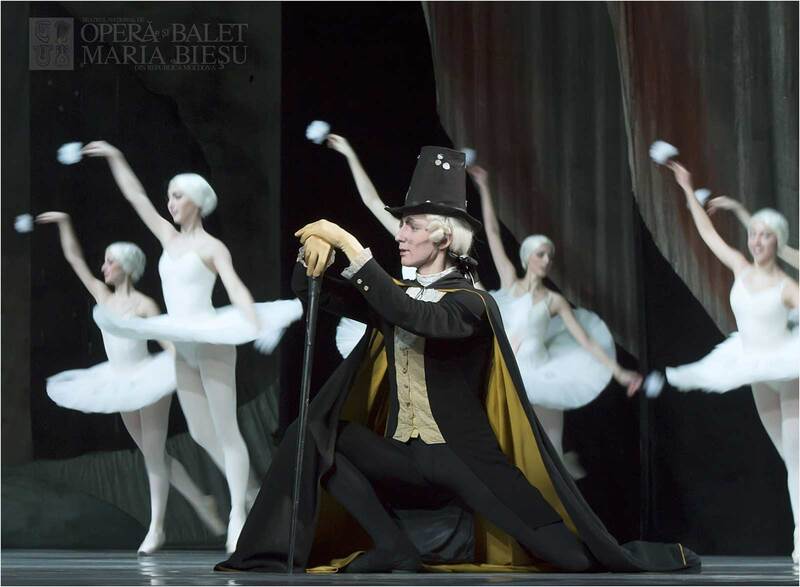 Being in search of its own style, there have also been created national ballets. 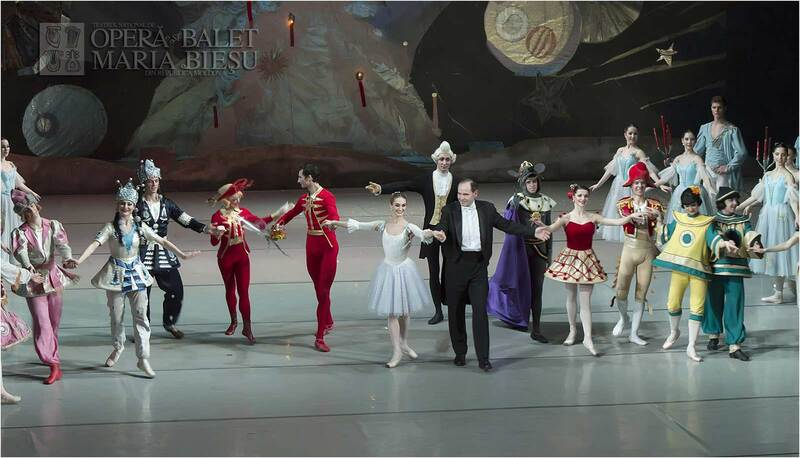 The Moldovan composer Vasile Zagorski composed the ballet “The Dawn”, which was staged by V.Varkovitski. 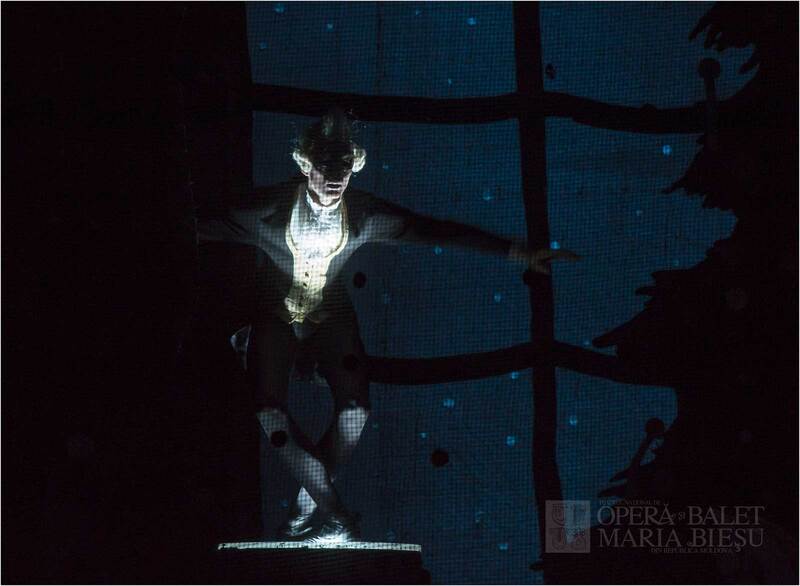 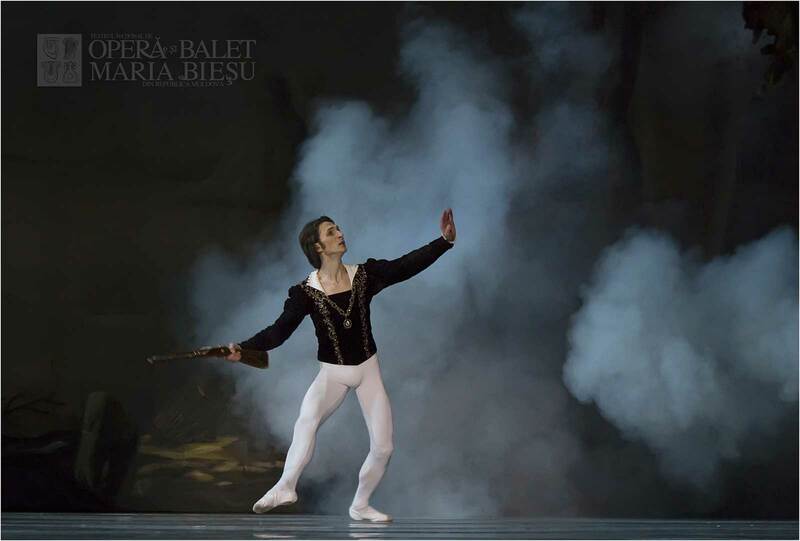 The composer Eduard Lazarev created the ballet “Broken sword” after M. Eminescu’s poem “Ghosts”, staged by the ballet masters S.Drechin and N.Danilova. 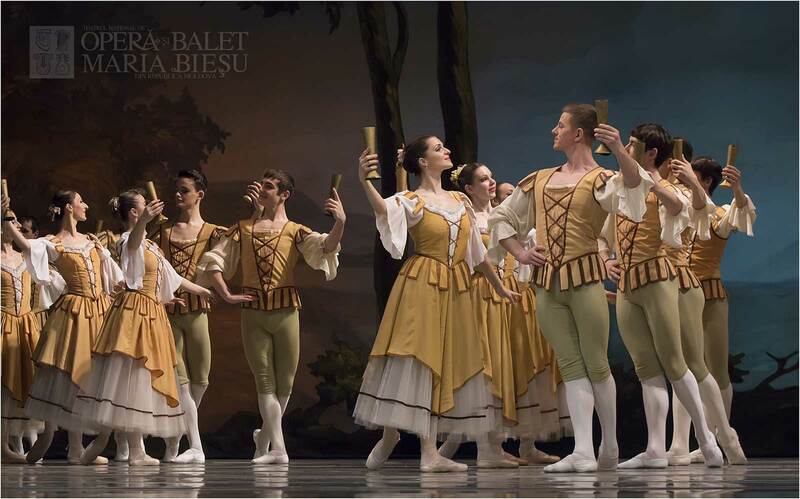 The first ten years were marked by new performances where each play was an event and a way of becoming a professional ballet group. 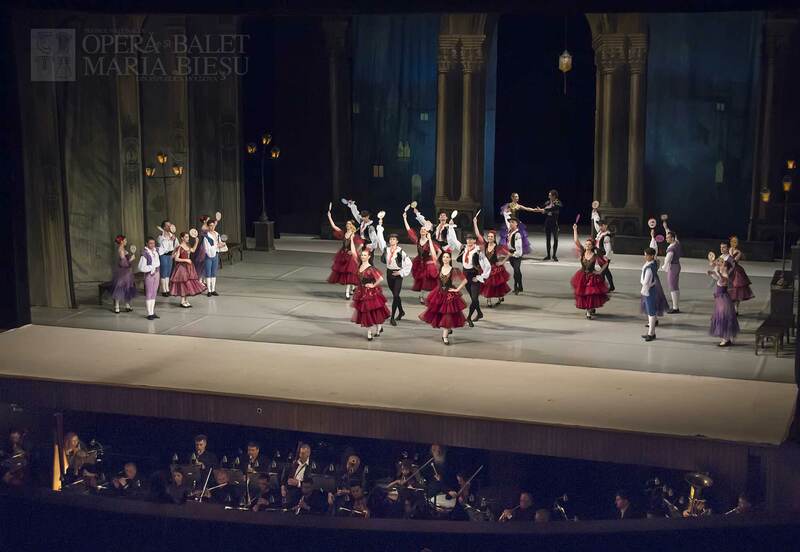 The theatre toured in Bulgaria, Russia, Ukraine. 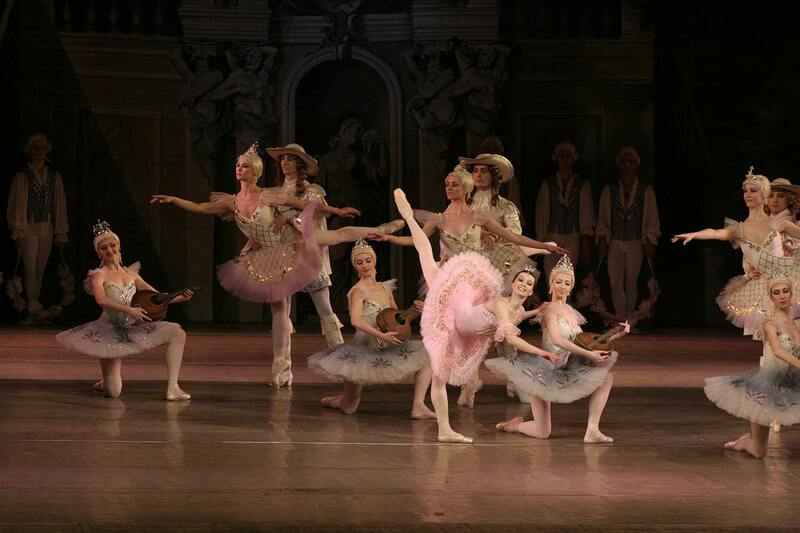 Then, many talented guests came to Chisinau in order to perform. 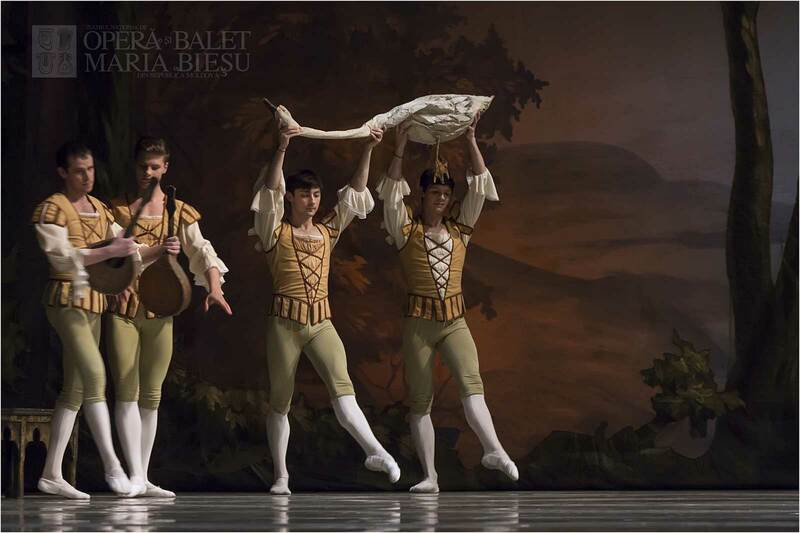 Ballet-lovers were looking forward to see such ballet dancers as Vladimir Tihonov, Piotr Leonardi, Rozita Potehina, Alexander Mihalachi and others. 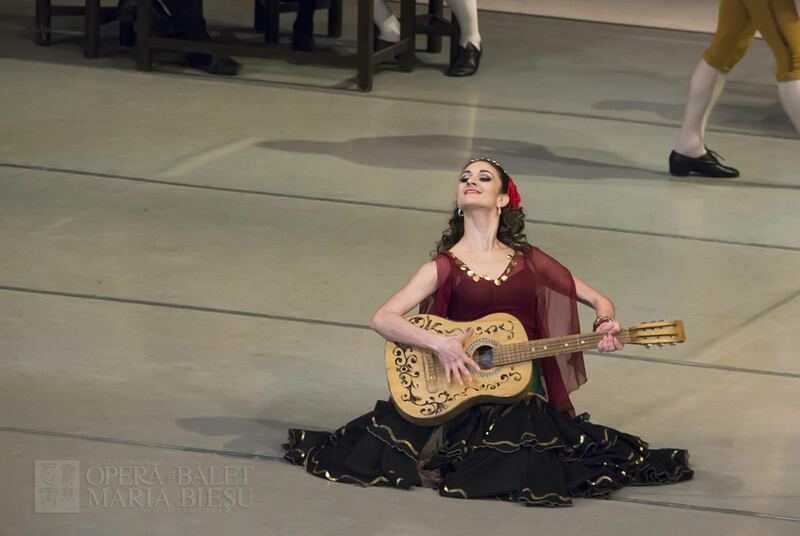 The ballet „Carmen-Suite” by R. Schedrin/G.Bizet was showing the tragically spirit of Galina Melentieva as an actress, who danced such parts as Odilia, Snow White, Cleopatra. 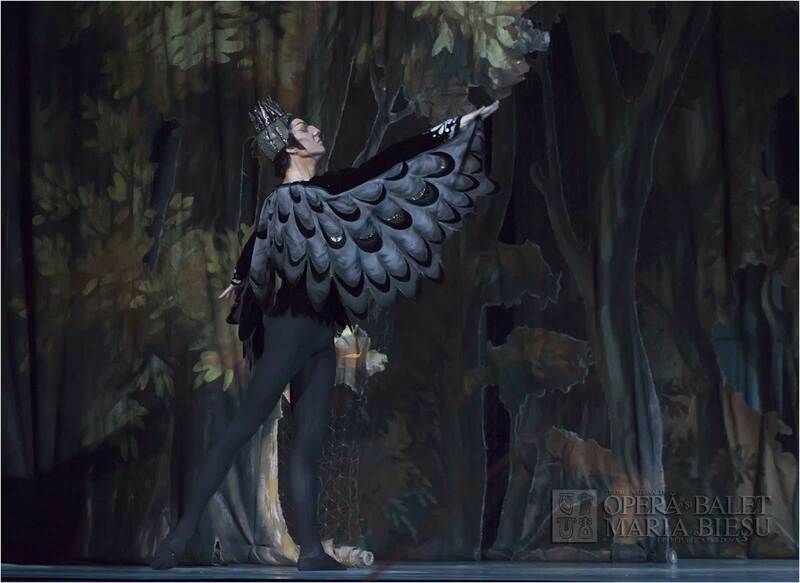 In 1964, Mihail Caftanat graduated from the Choreographic College in Moscow, came back and right away became famous, performing such difficult parts as Arald in “Broken sword”, Anthony in “Anthony and Cleopatra”, Sigrid in “Swan Lake”, Desire in “The Sleeping Beauty”. 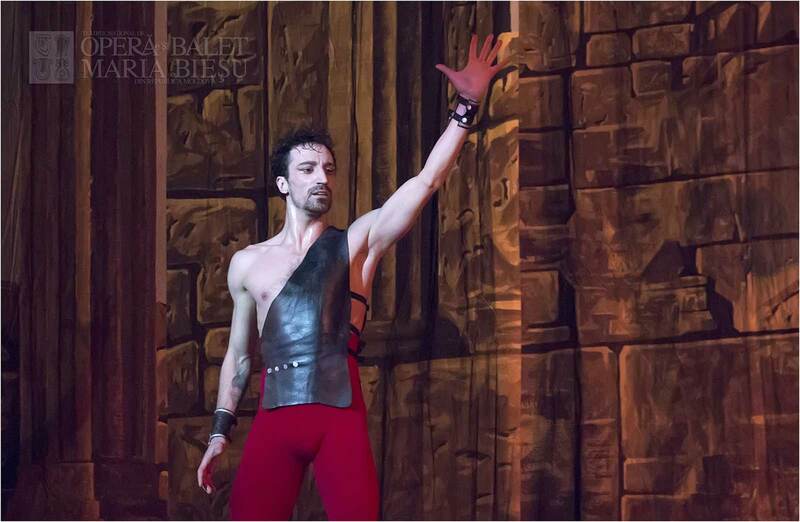 Mihail Caftanat became a real star of masculine dancing, showing to the audience his scenic charm and creative work. 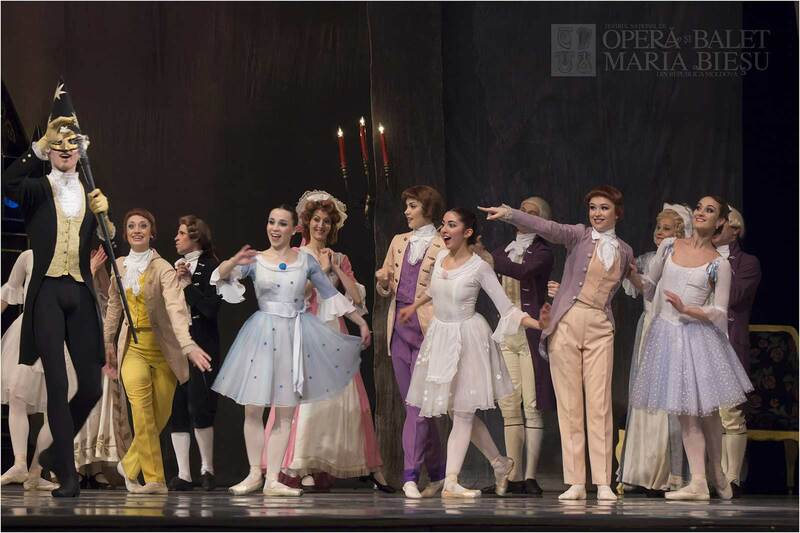 Mainly, the ballet of the National Opera and Ballet Theatre aspired to increase its classical repertoire without which there is no genuine theatre. 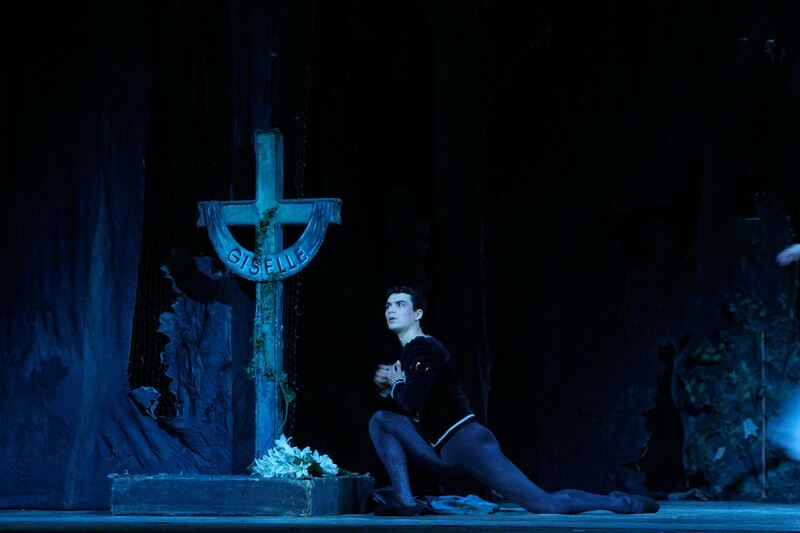 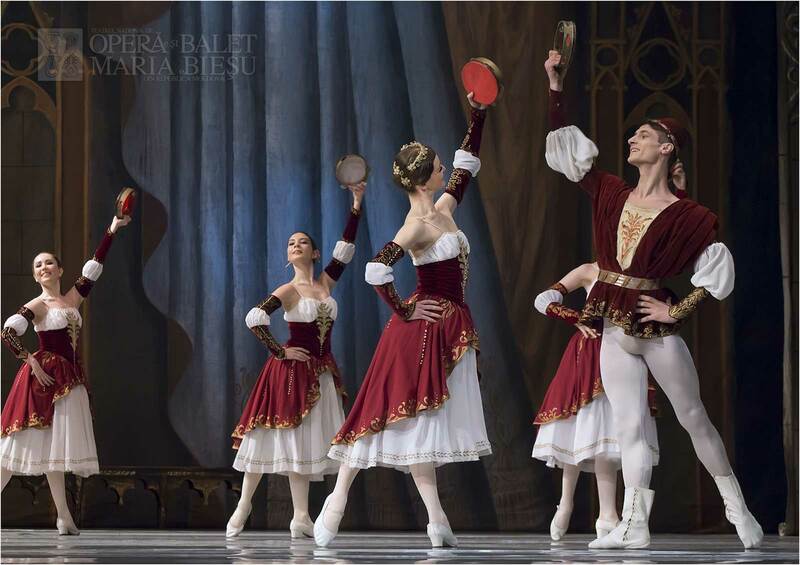 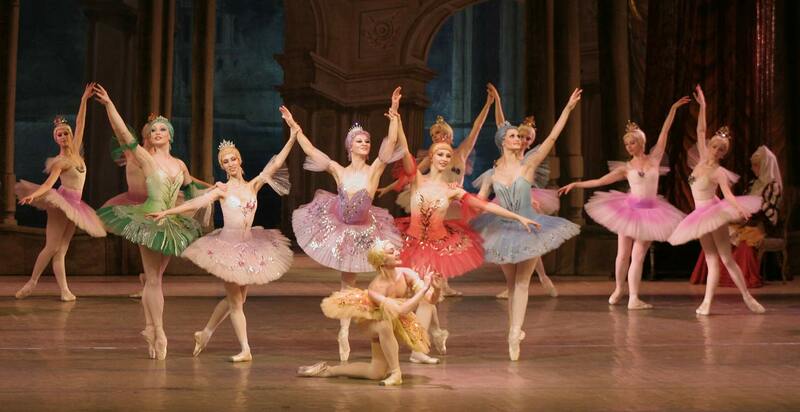 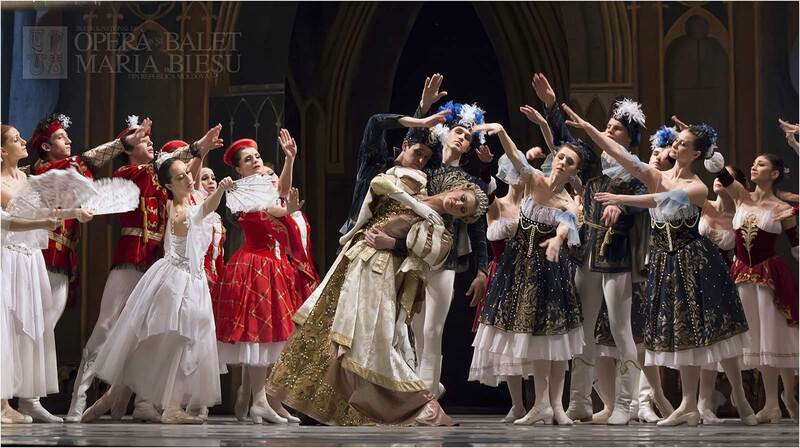 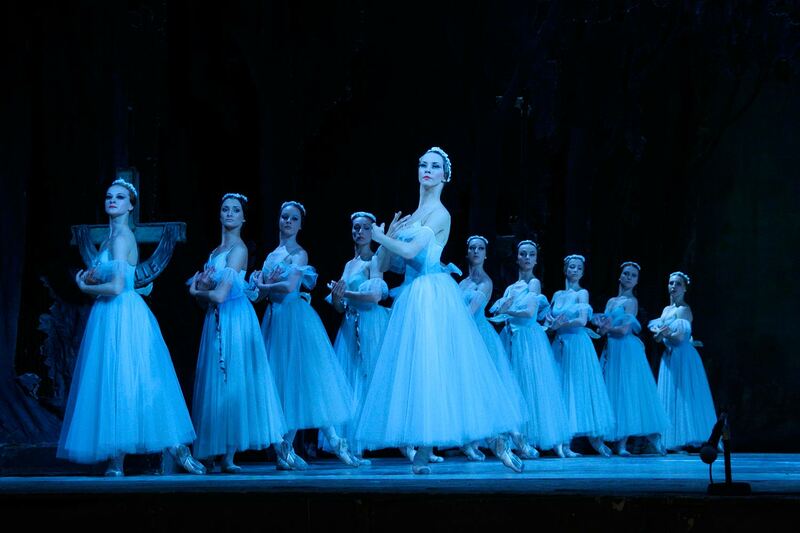 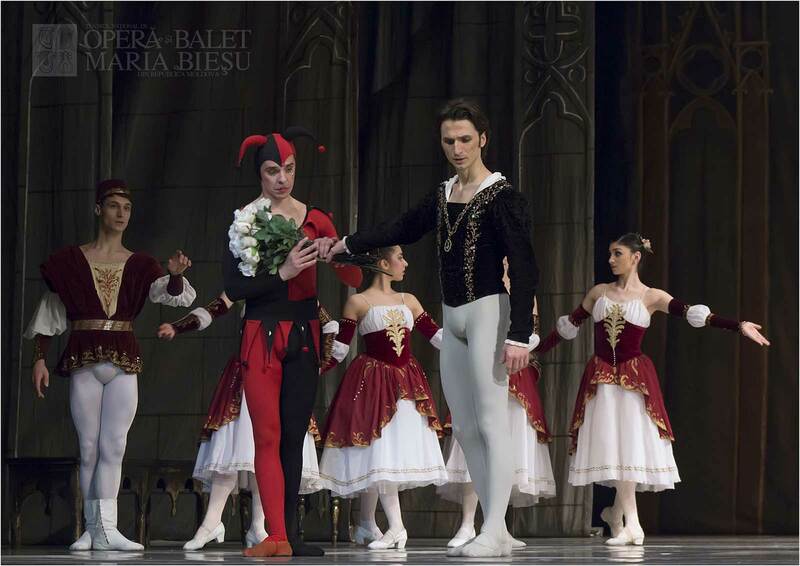 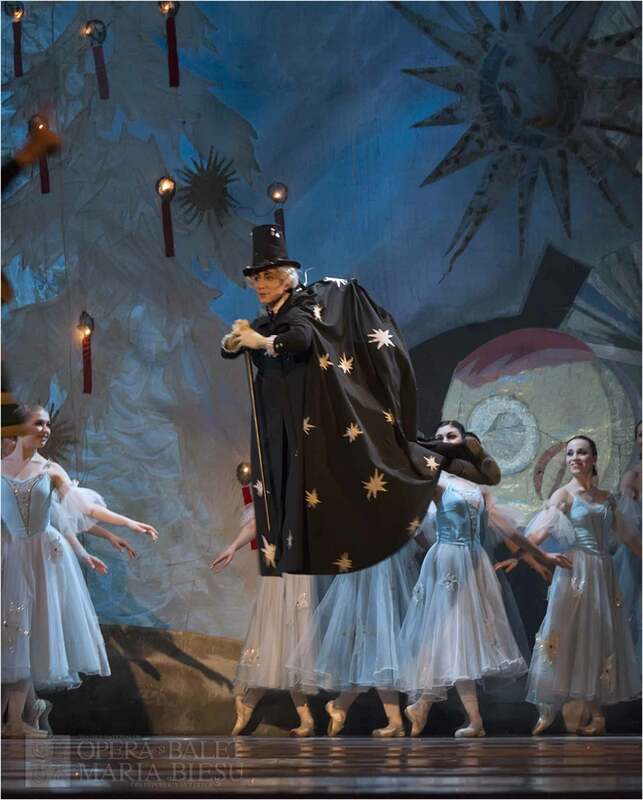 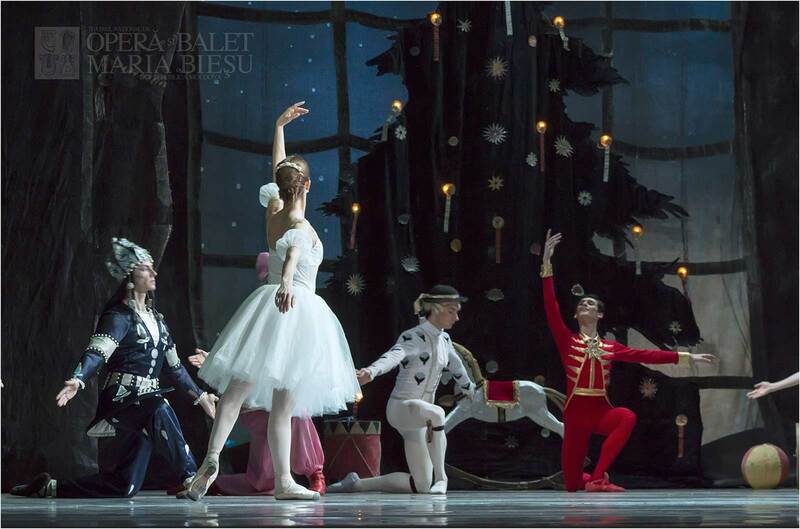 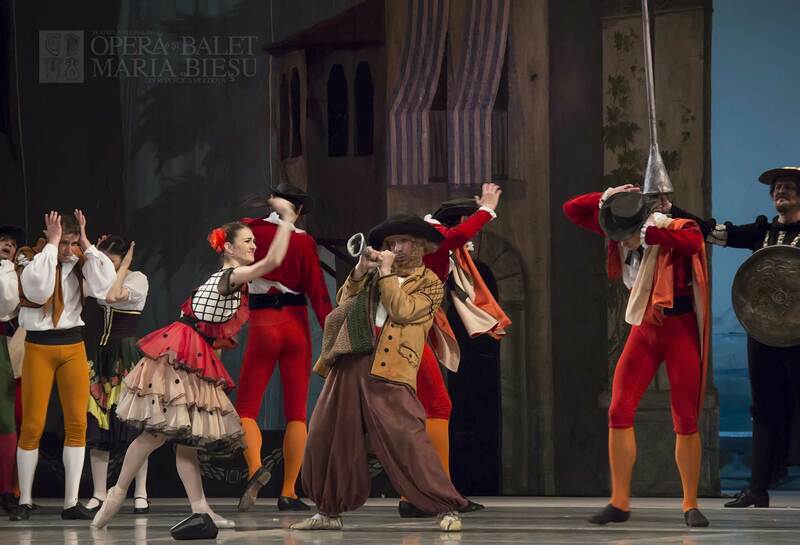 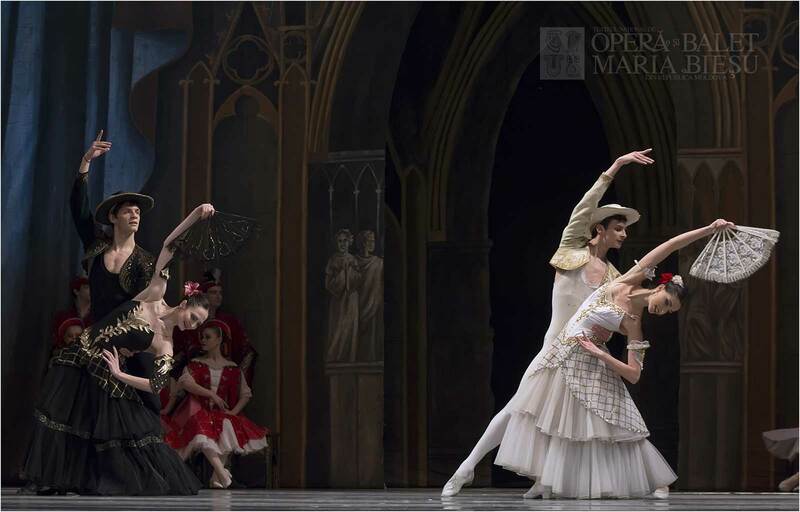 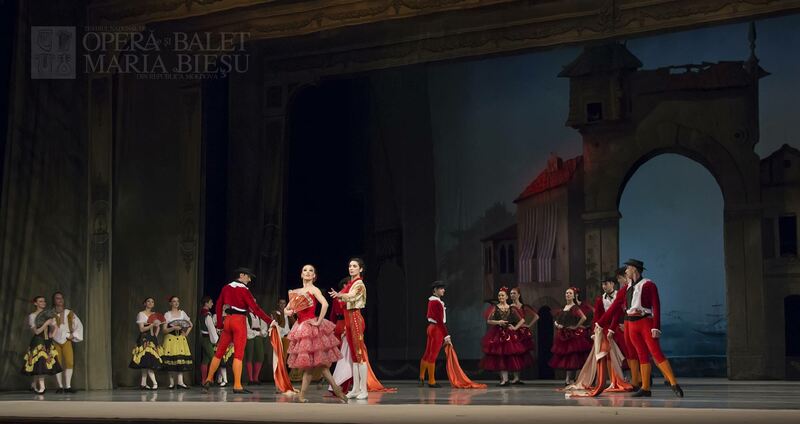 In that way, the basic repertoire of the theatre consists in ballets such as „Swan Lake”, „The Sleeping Beauty”, „Nutcracker”, „Giselle”, „La Silphide” etc. 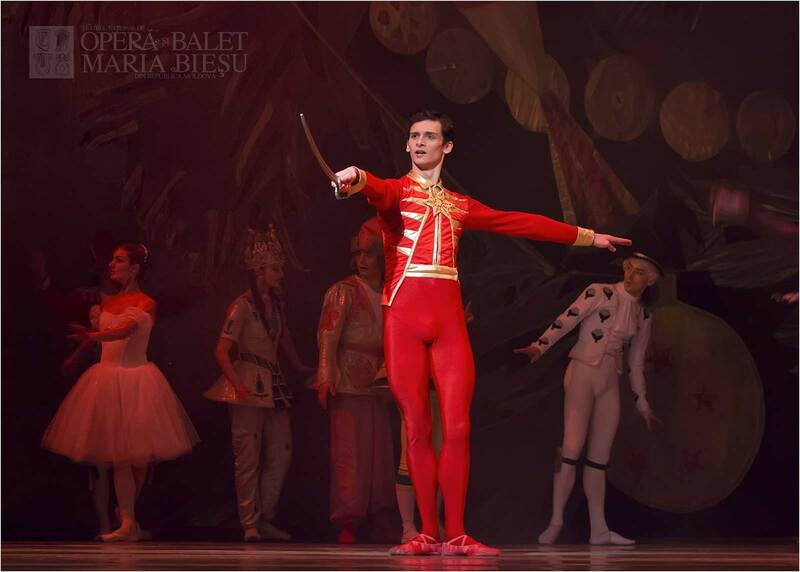 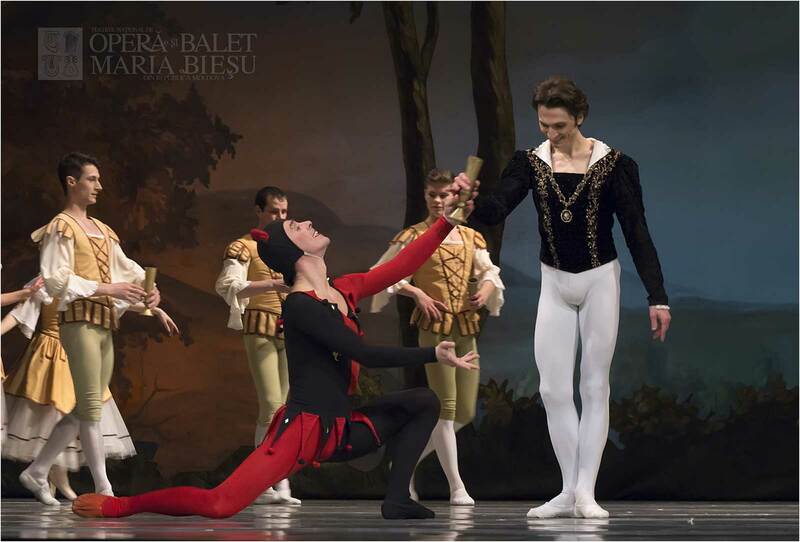 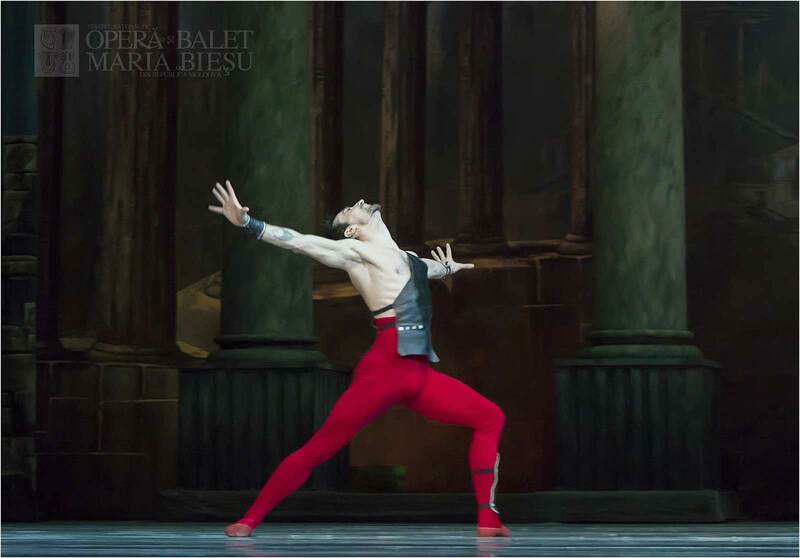 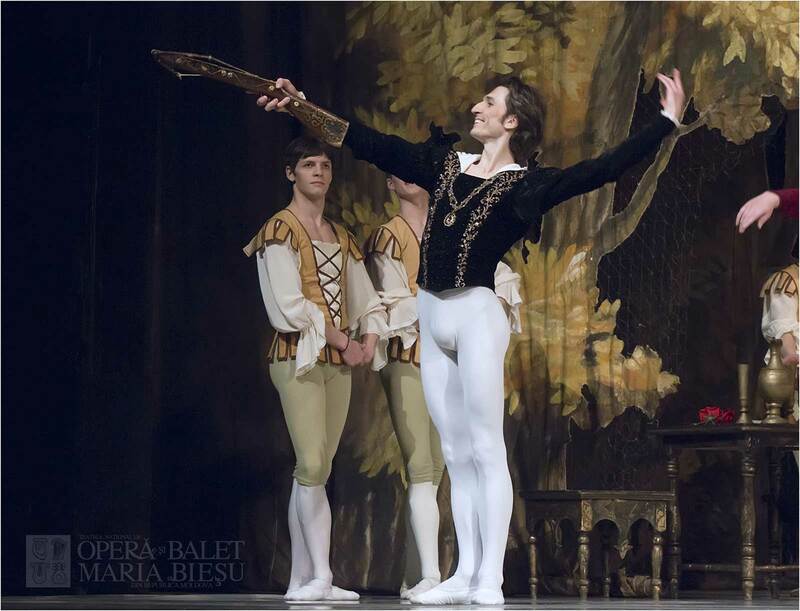 The flourishing period of ballet in the Republic of Moldova is connected with the name of Marat Gaziev. 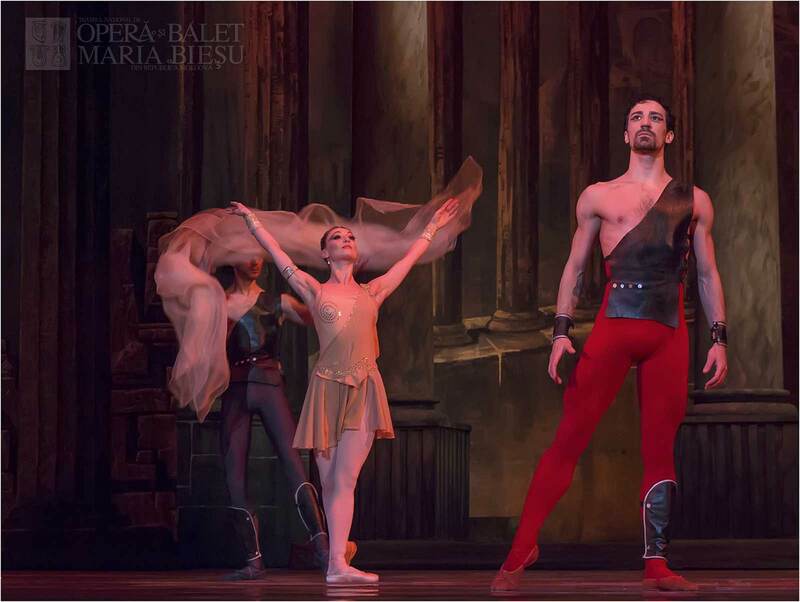 In this period of time were played classical performances such as “La Silphide”, “Coppelia”, “La Bayadere”, the renewed “Anthony and Cleopatra”. 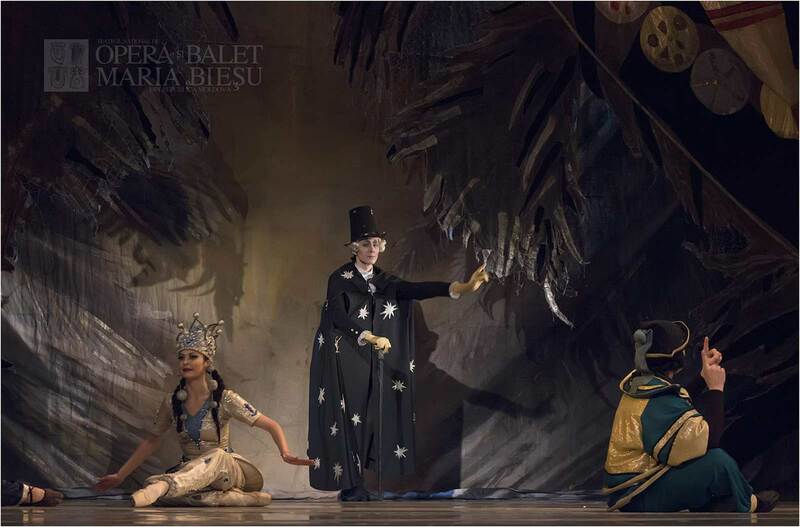 The ballet „La Bayadere” by L.Minkus was transferred by Tatiana Legat from the Theatre Mariinski to the National Opera and Ballet Theatre in Chisinau. 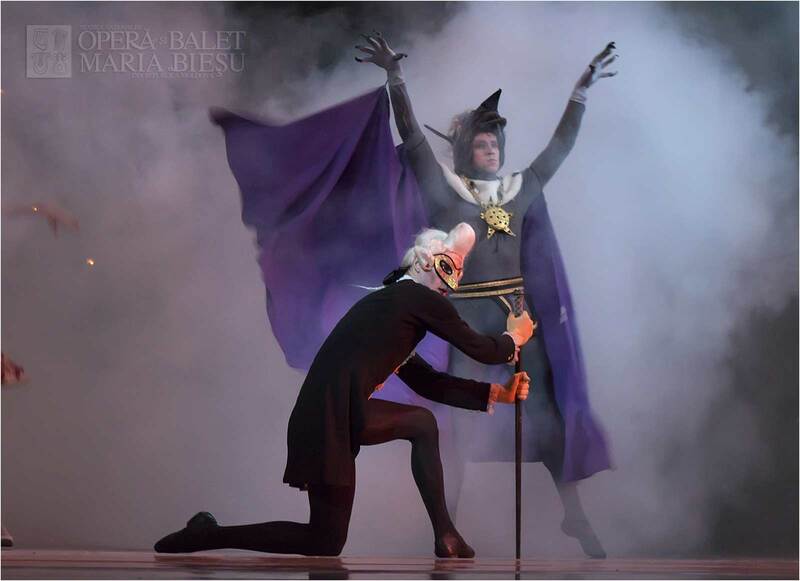 The performance demonstrated that the theatre managed well the difficult work which has been needed in order to show the mastership. 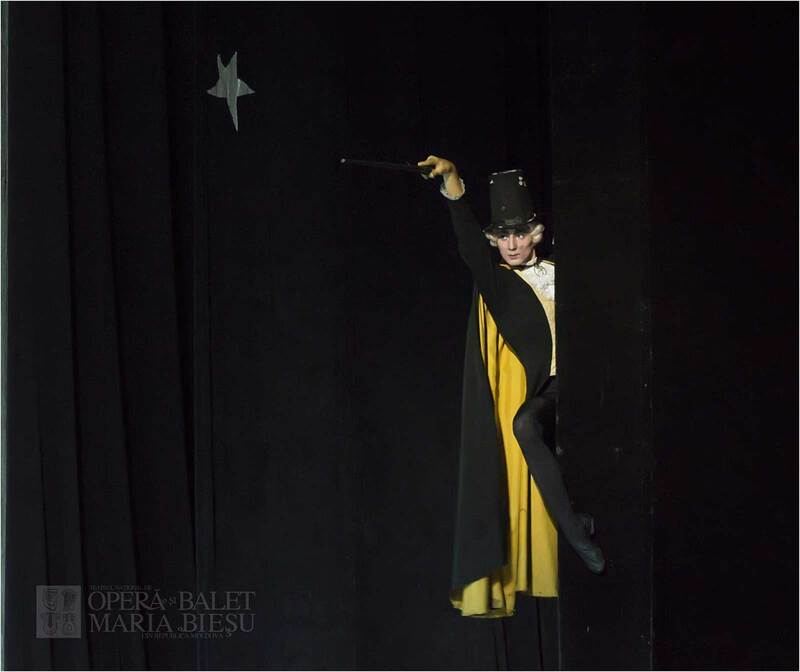 The National Opera and Ballet Theatre Chisinau holds on carefully to the classical plays in its repertoire, side by side with modern ones. 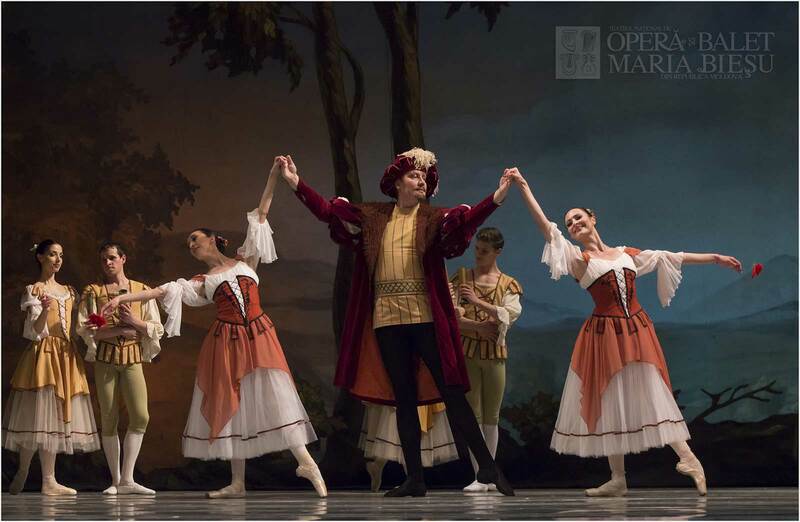 They are dancing the ballets „Snow White and the Seven Dwarfs” by B.Pawlowski, staged by G.Maiorov, „Romeo and Juliet” by S.Prokofiev, „Prince and Poor” by N.Simonean, staged by E.Girnets. 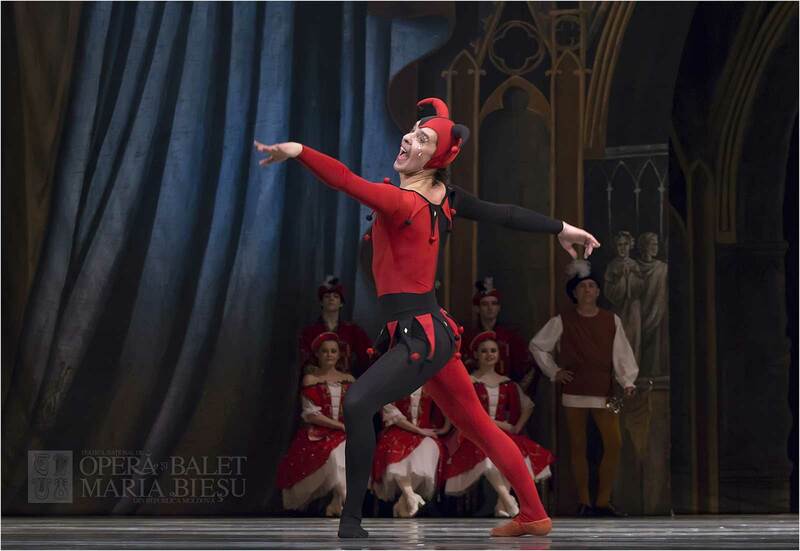 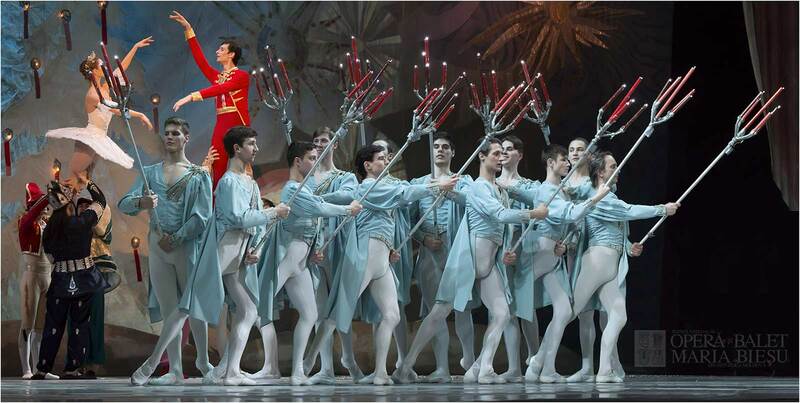 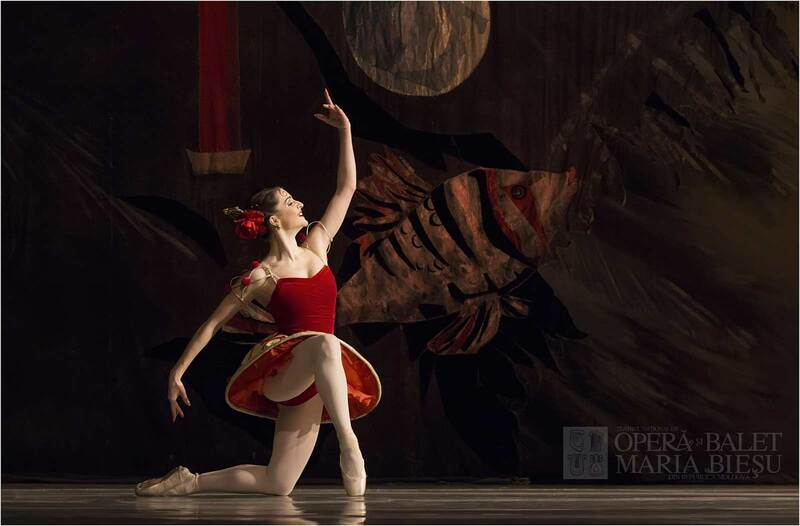 Nowadays, the theatre is proud of dancers such as Cristina Terentiev – Master of Arts. 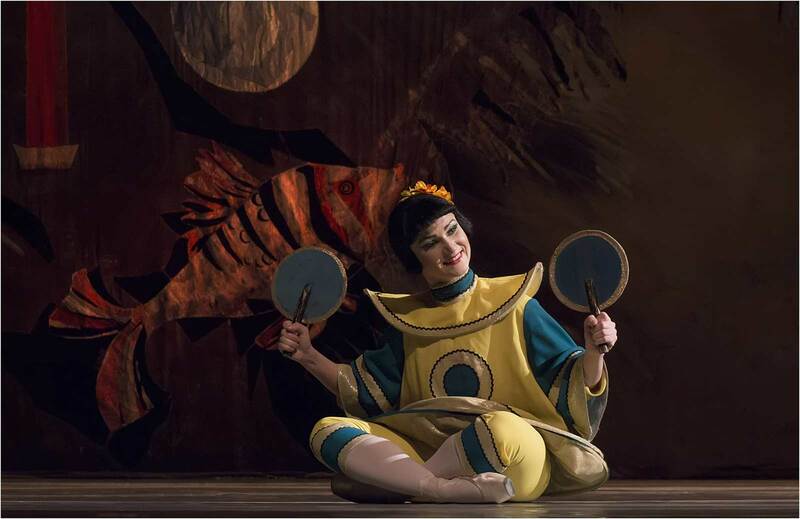 She possesses an uncommon experience and a great acting talent. 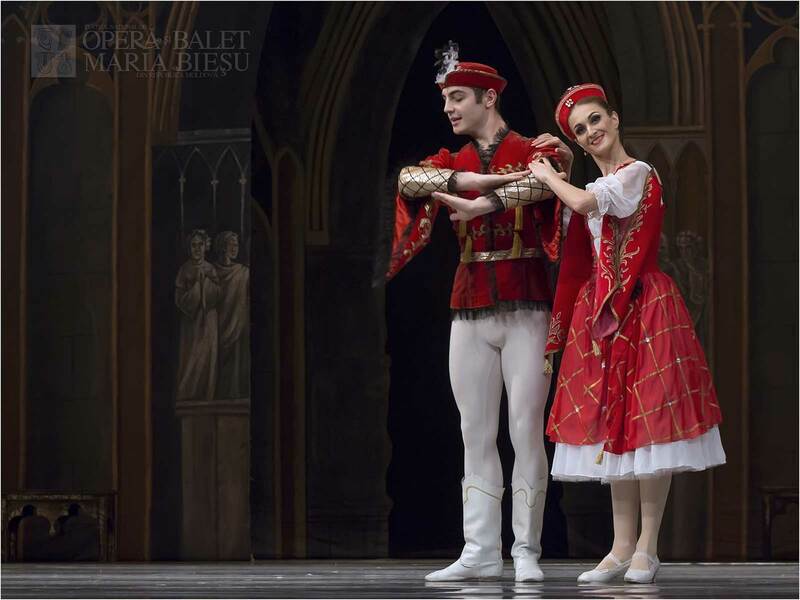 It is very important to mention that the National Choreographic College had its contribution to the professional formation of the ballet dancers of the Republic of Moldova. 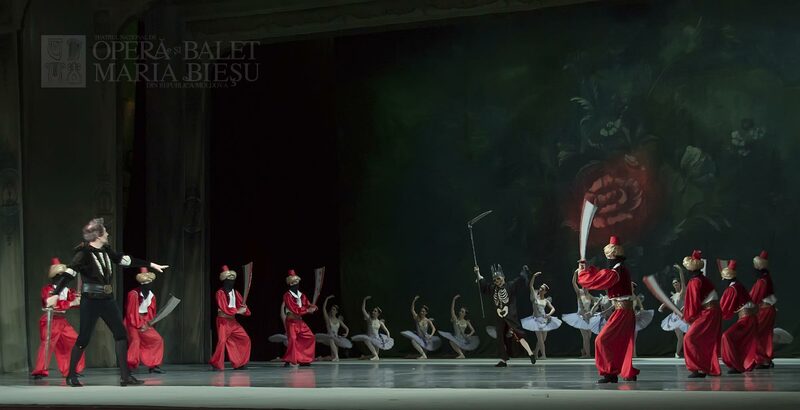 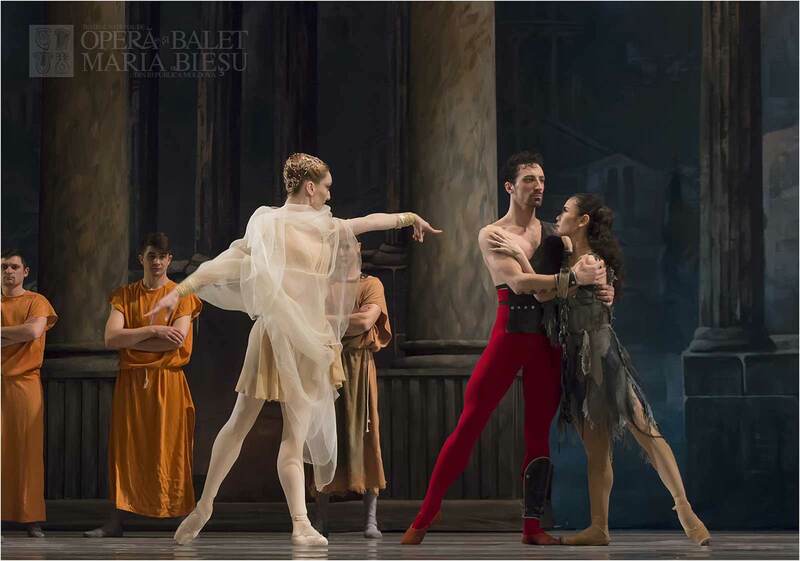 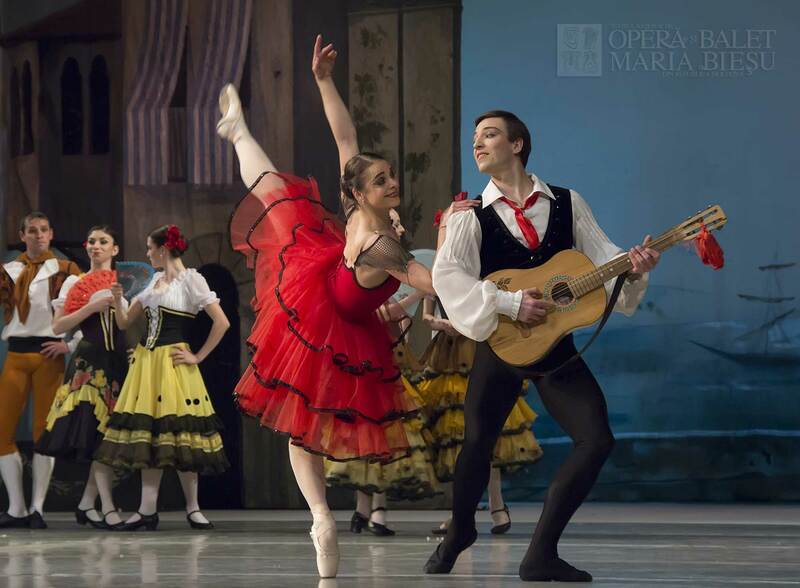 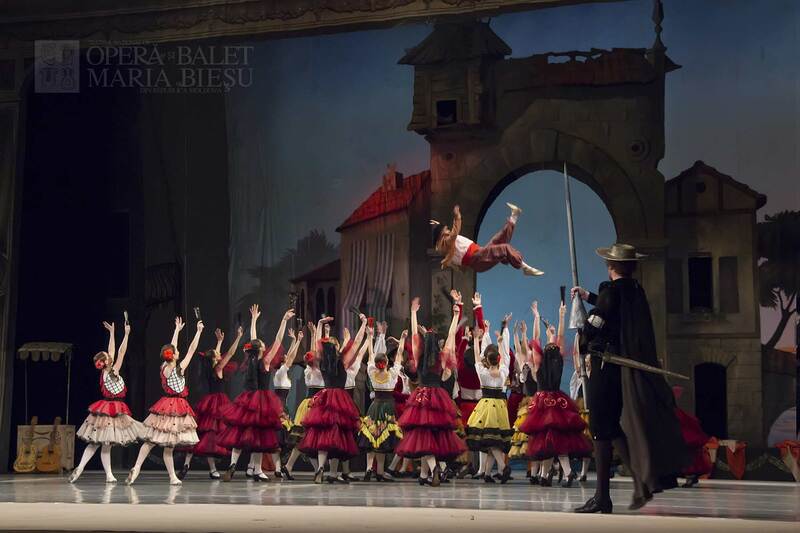 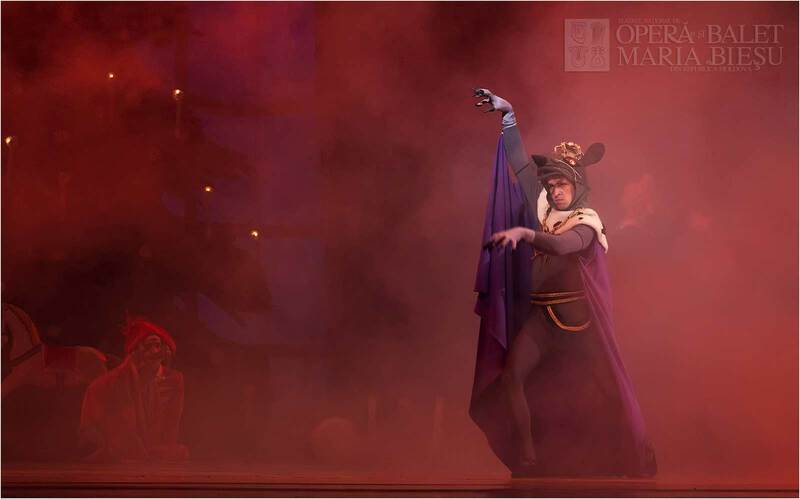 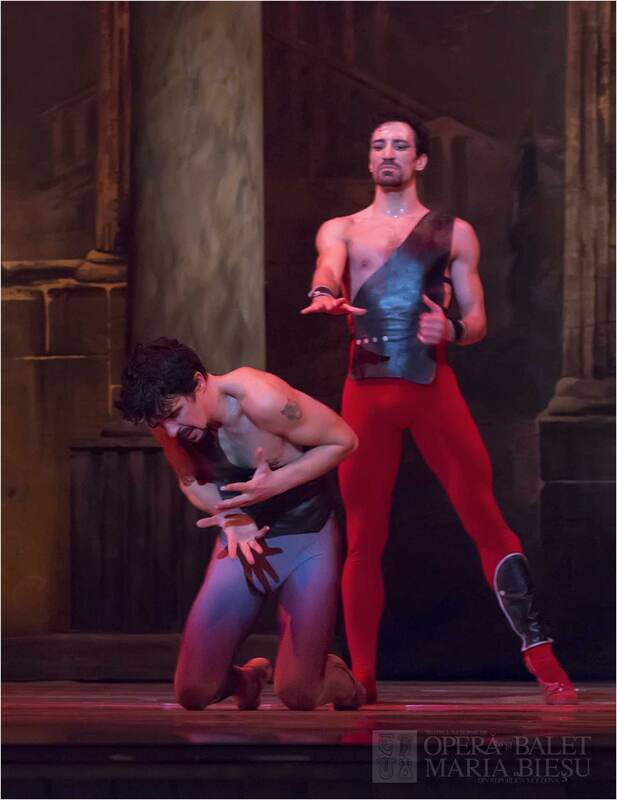 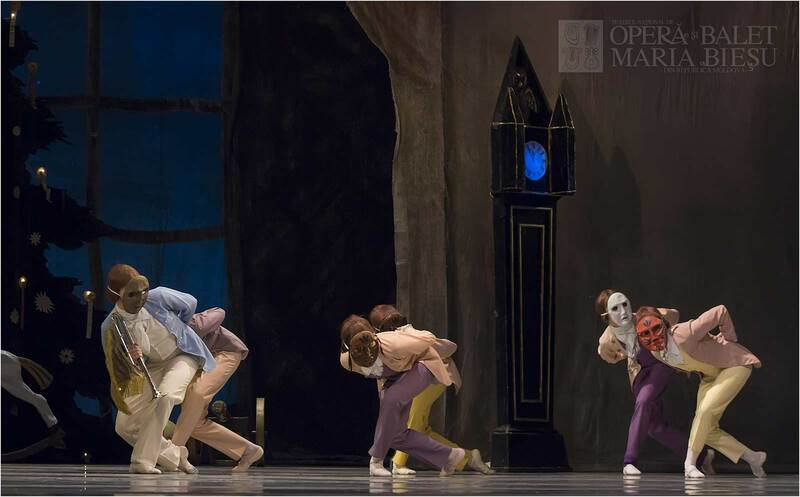 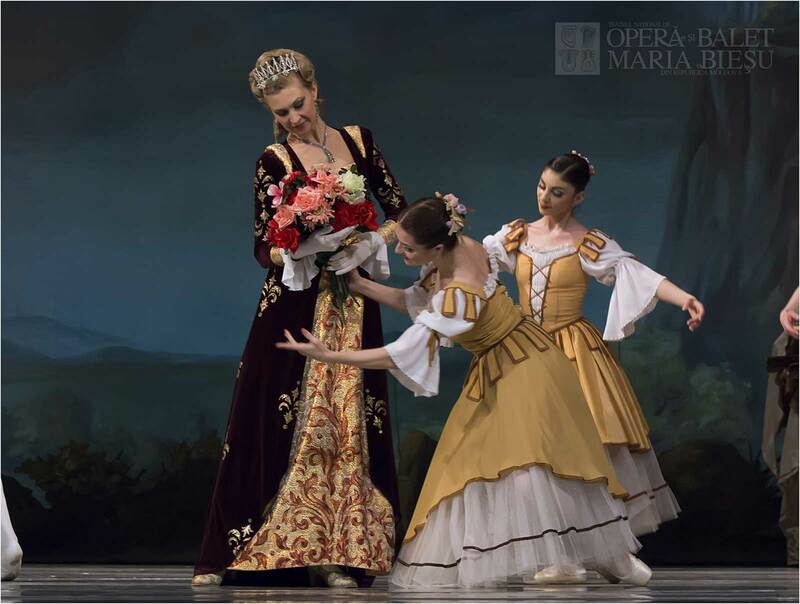 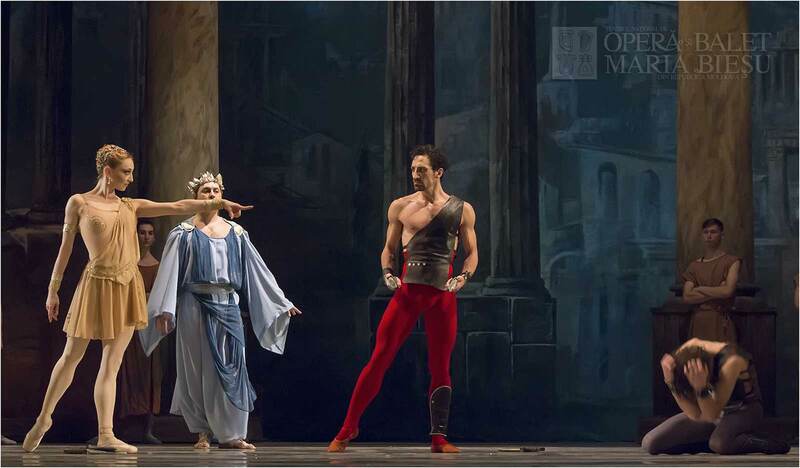 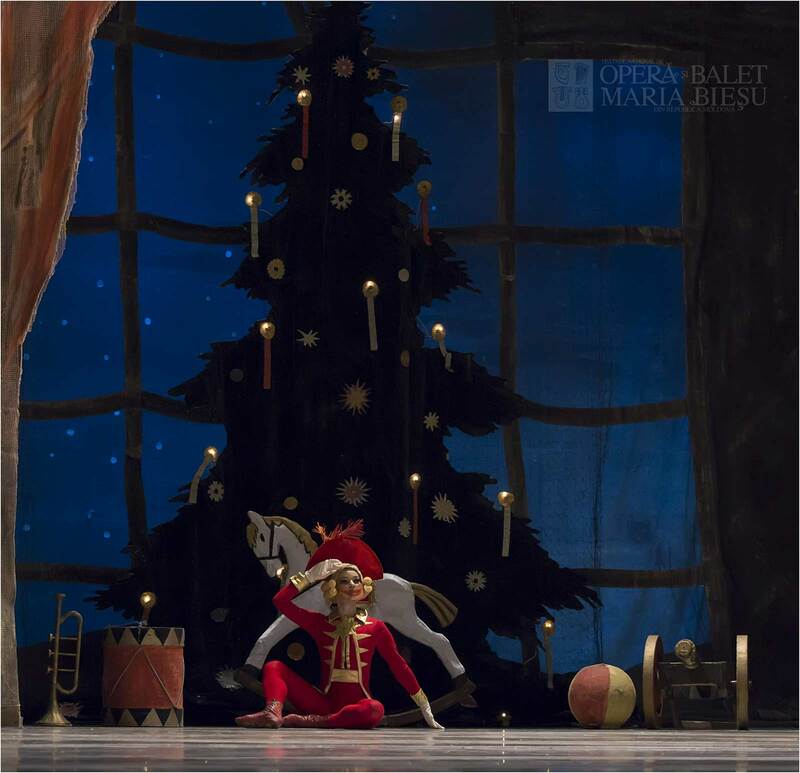 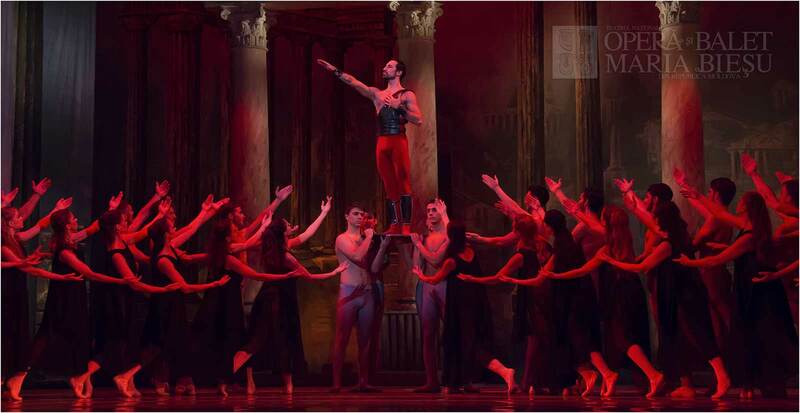 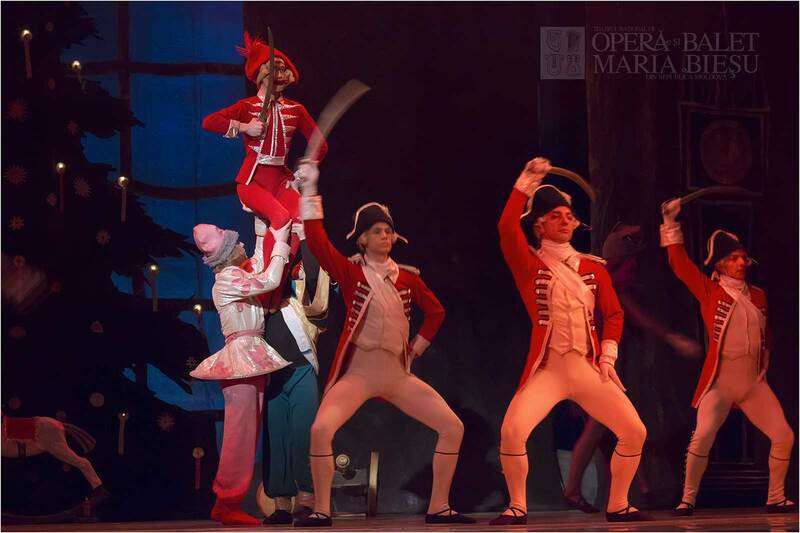 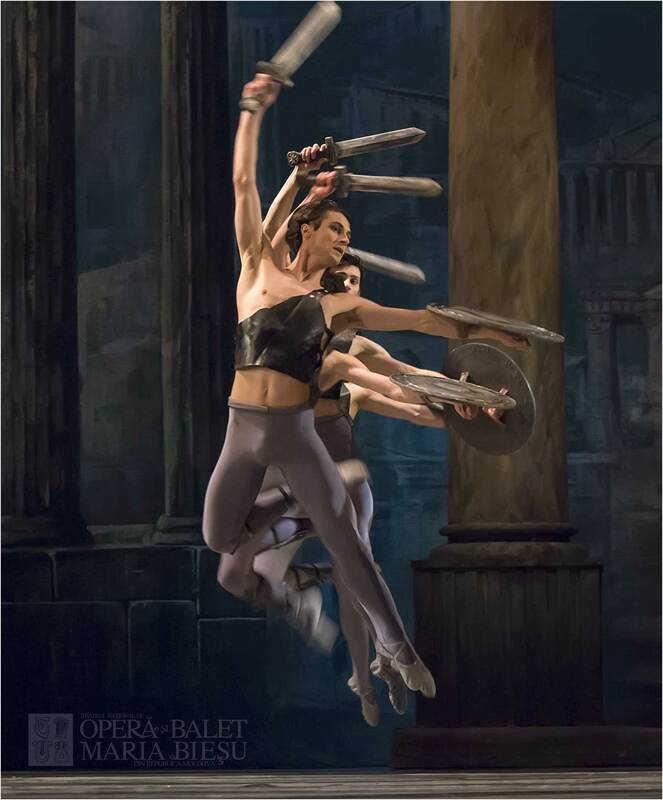 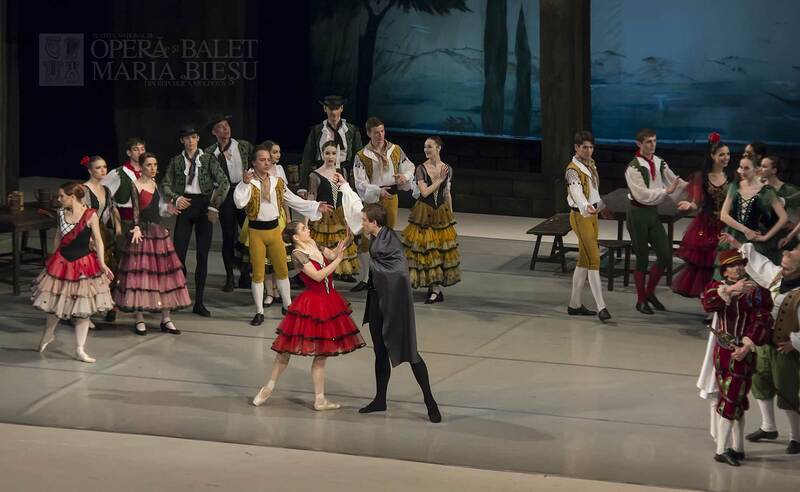 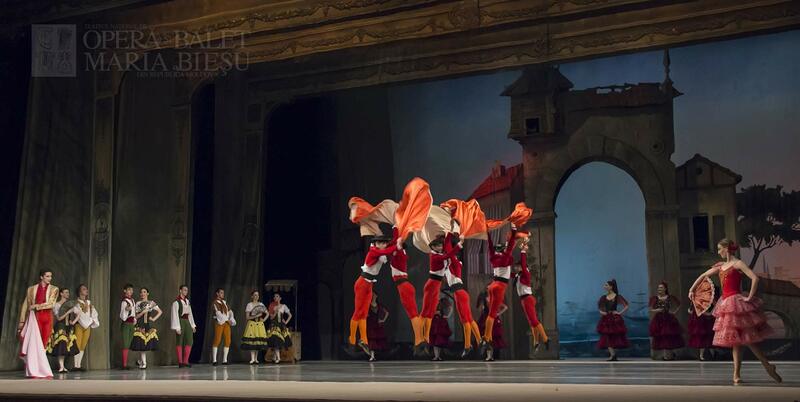 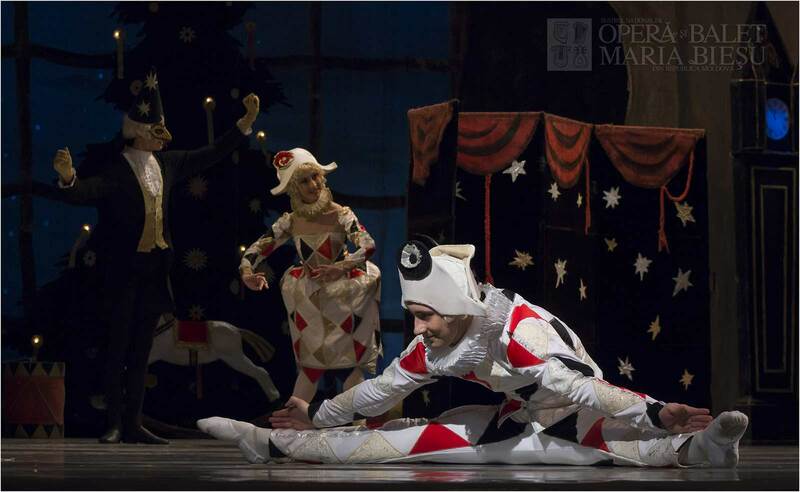 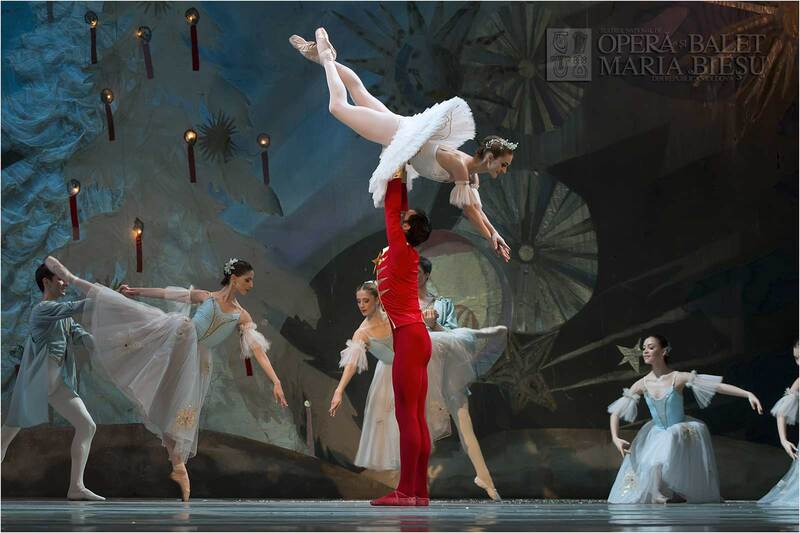 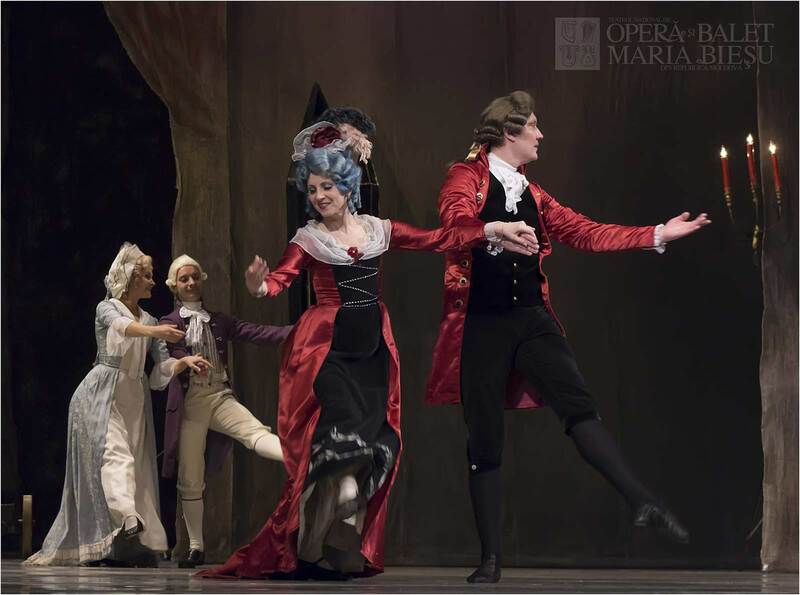 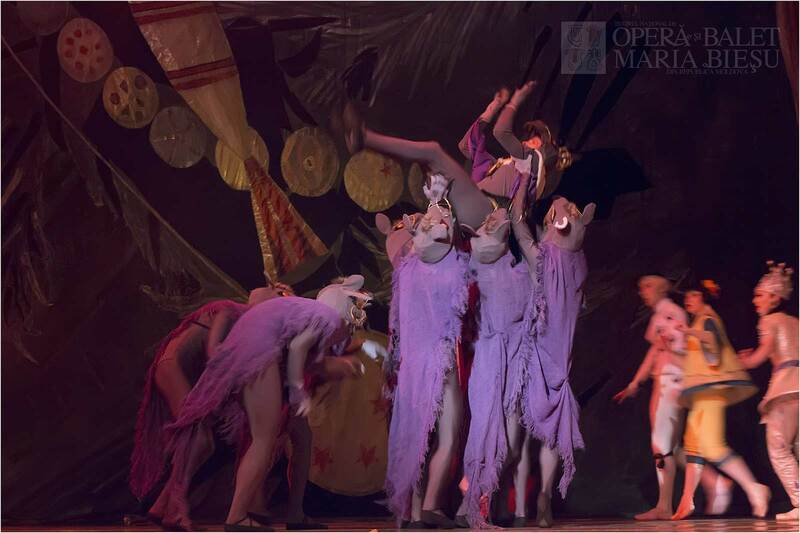 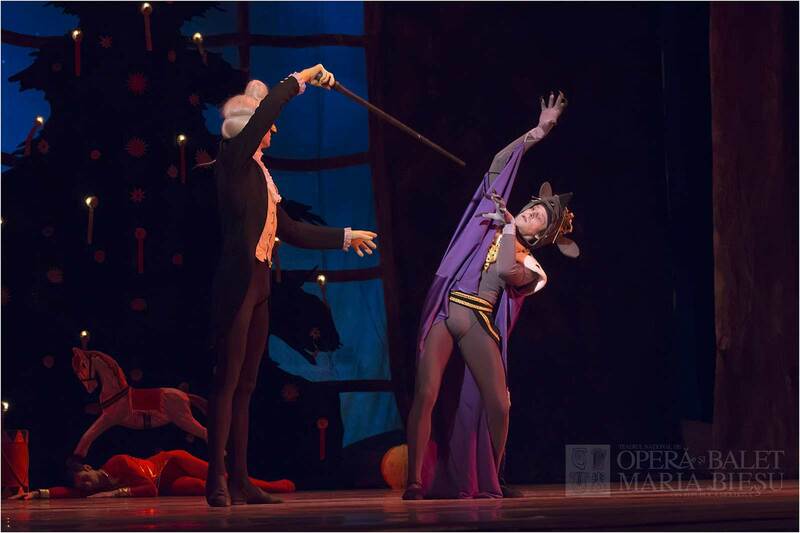 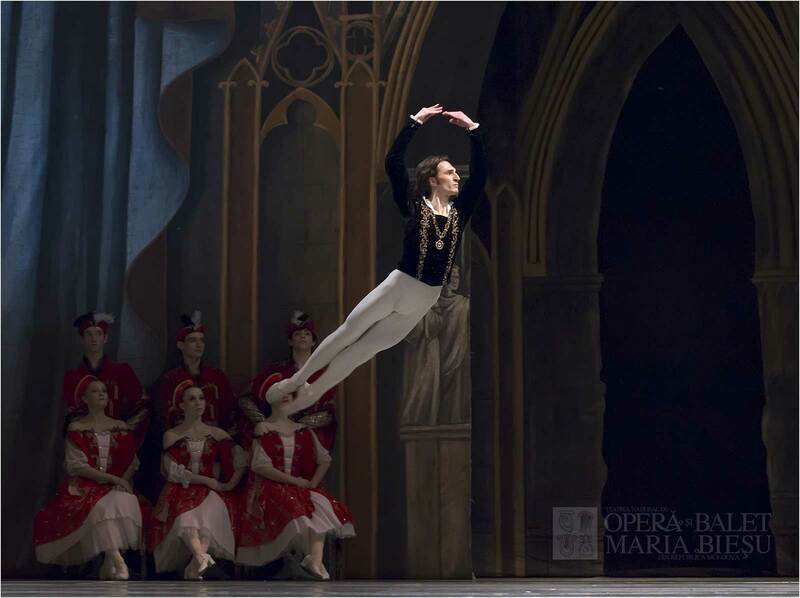 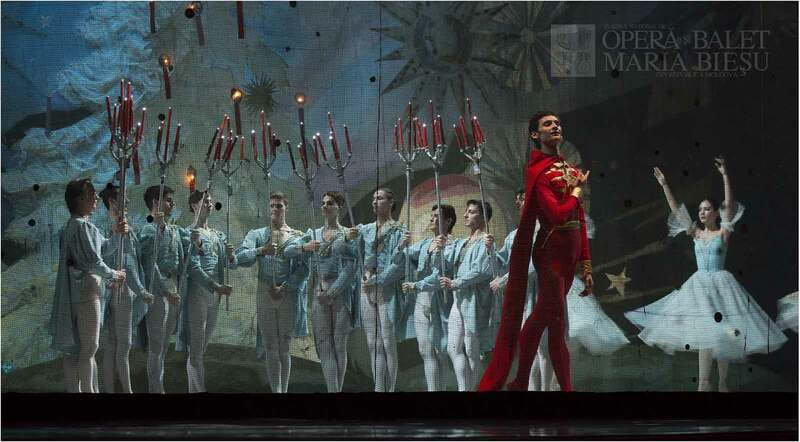 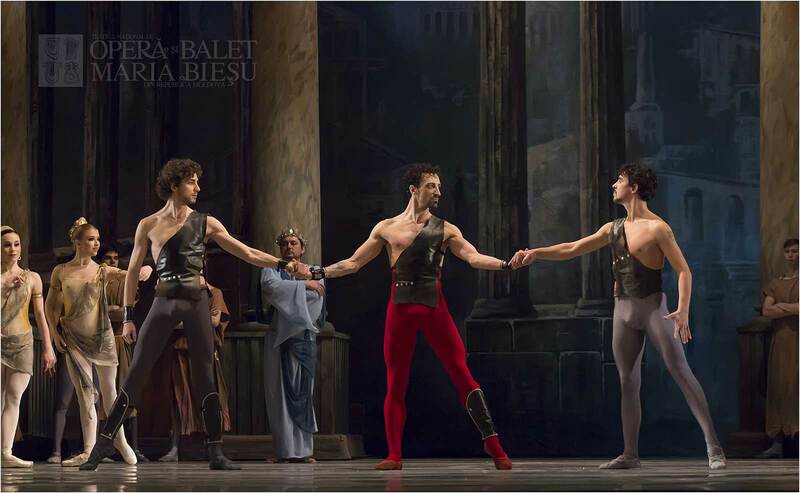 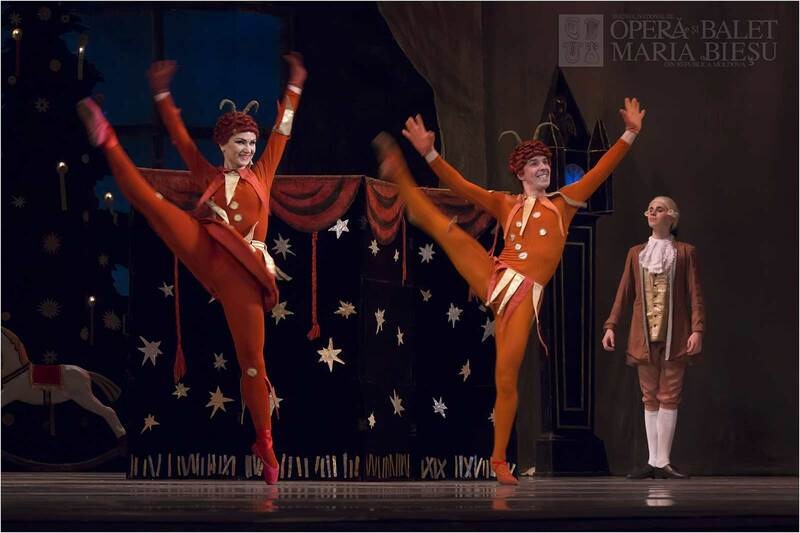 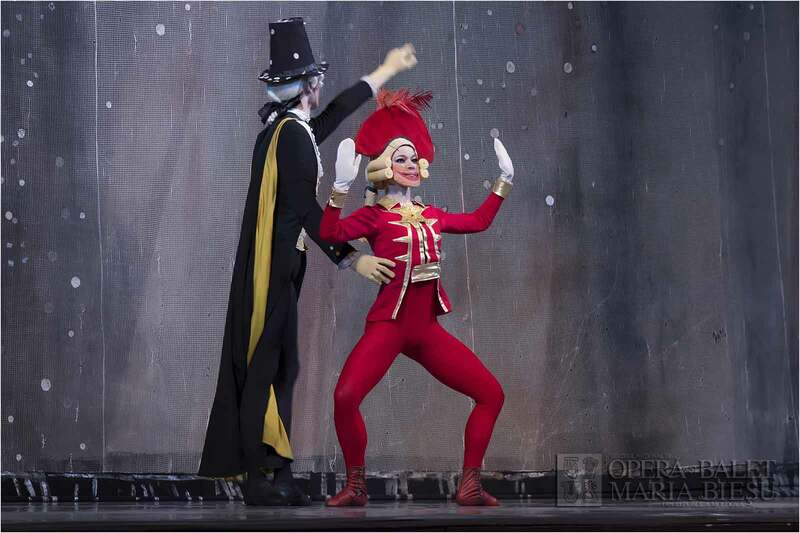 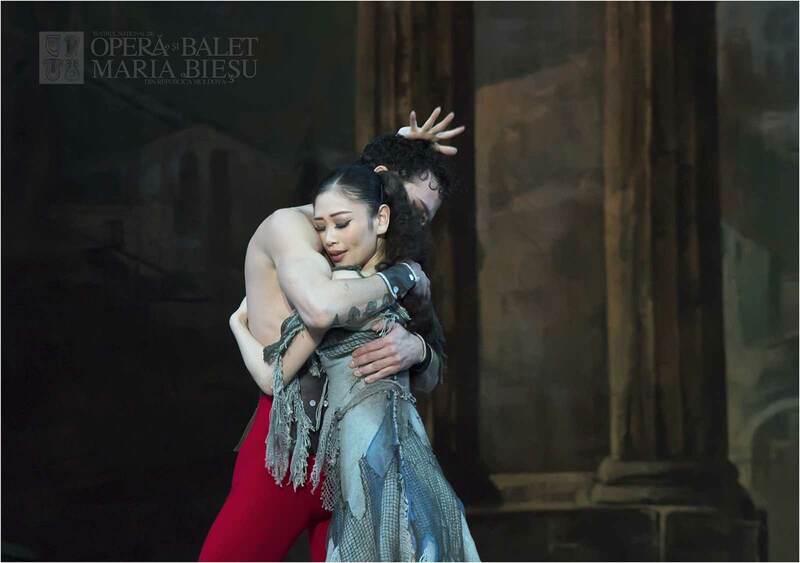 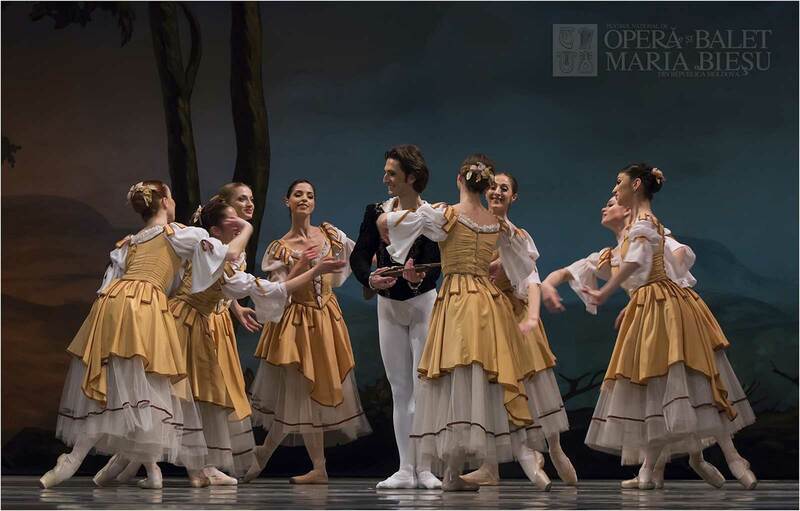 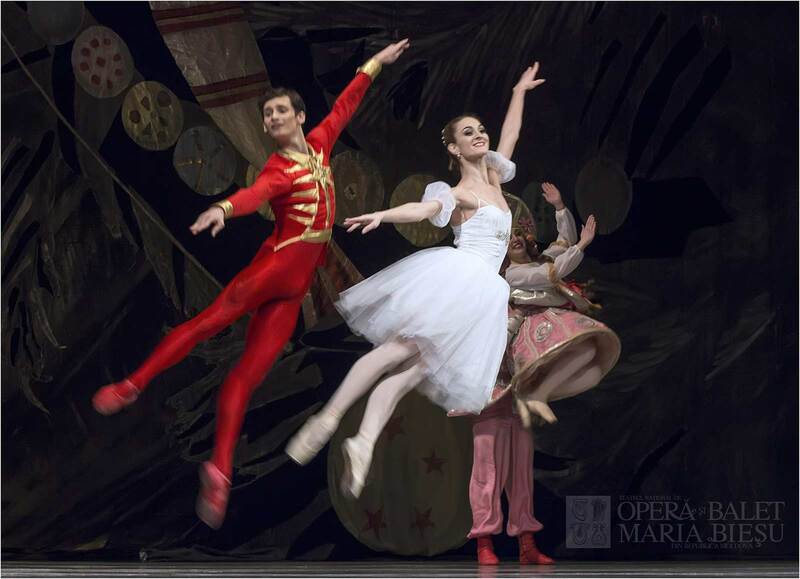 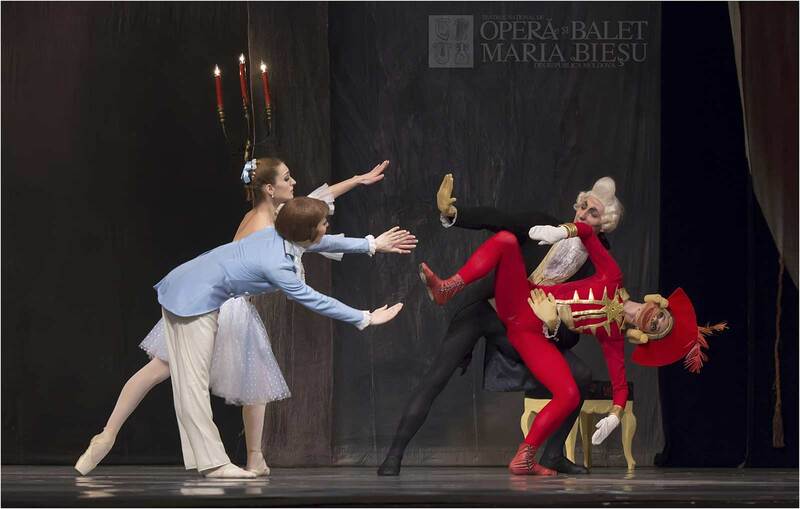 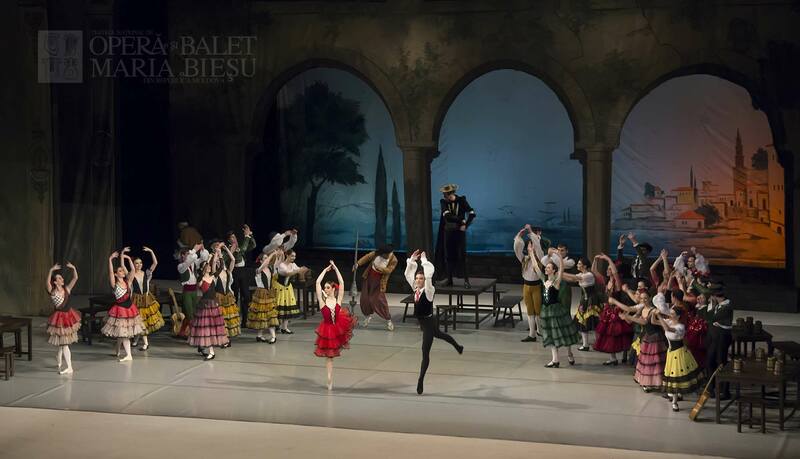 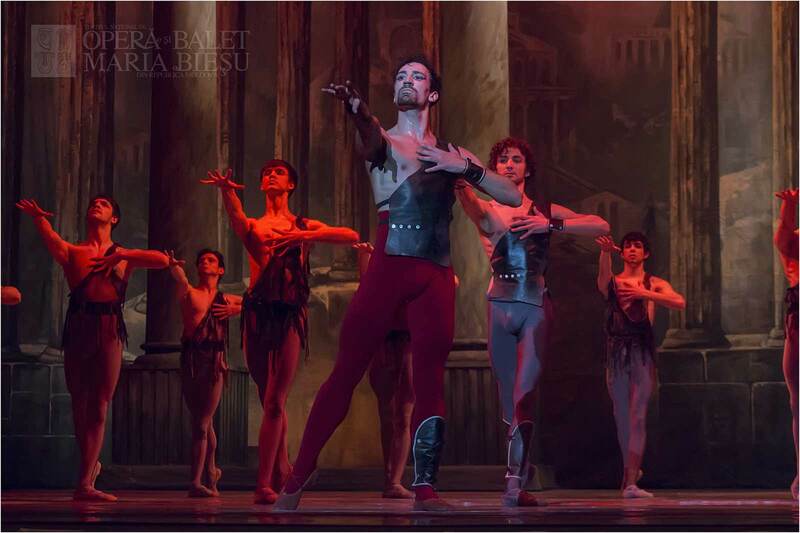 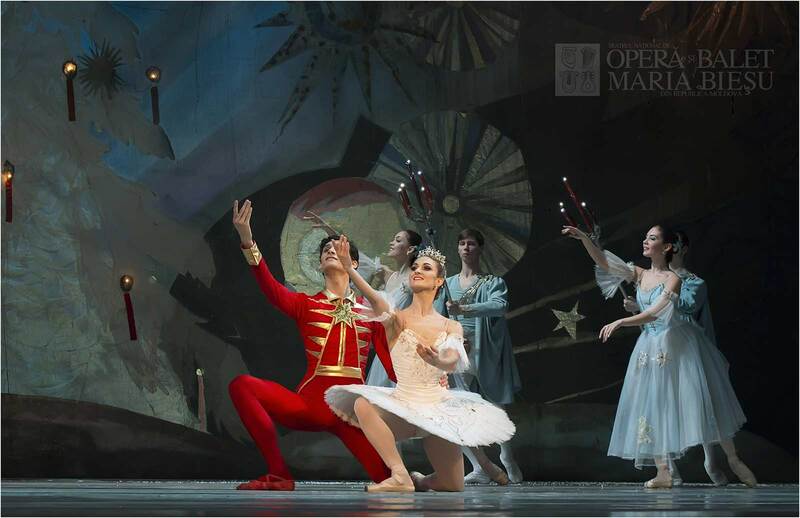 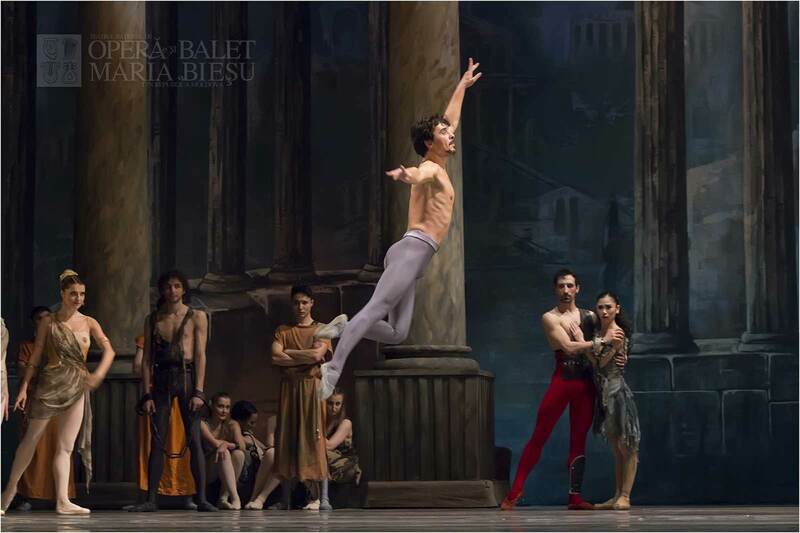 Along the years, being full of creative work and artistic discoveries of some artists and ballet master’s, the National Opera and Ballet Theatre has presented itself in a good way because of its highly professional ballet troupe. 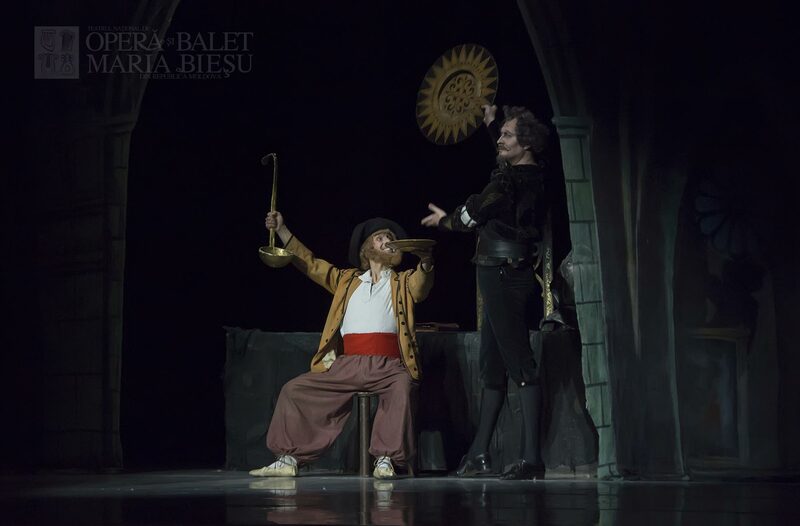 In evidence we can bring their tours to Russia, Laos, Vietnam, Bulgaria, Italy, Romania, Germany, Great Britain, Ireland, Nederland, Spain, France and Switzerland as well as the appreciation given to their performances by the theatre critics. 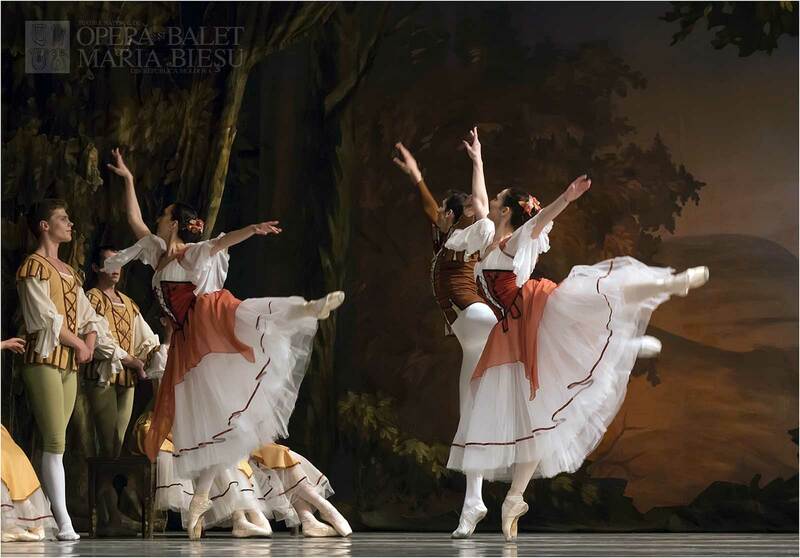 The ballet group is full of energy, new artistic ideas, and desire to perform more and more original plays. 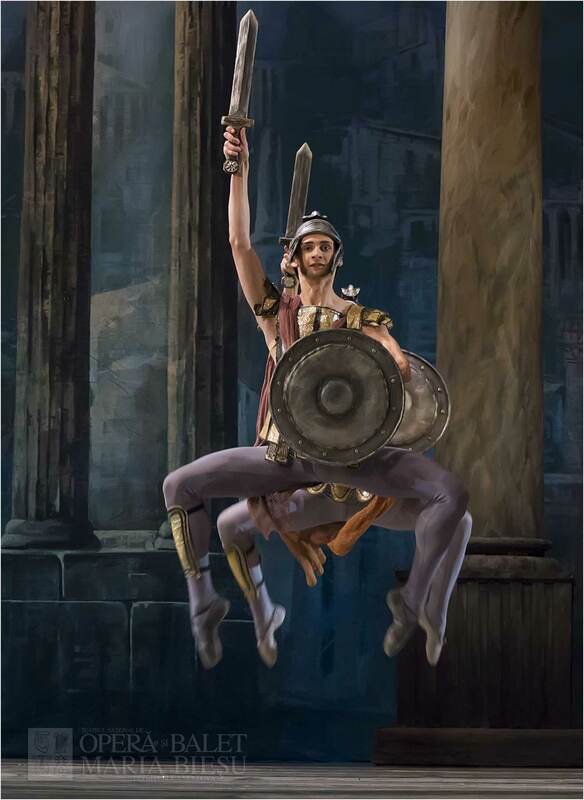 After the novel ”Spartacus” by Raffaello Giovagnolli.